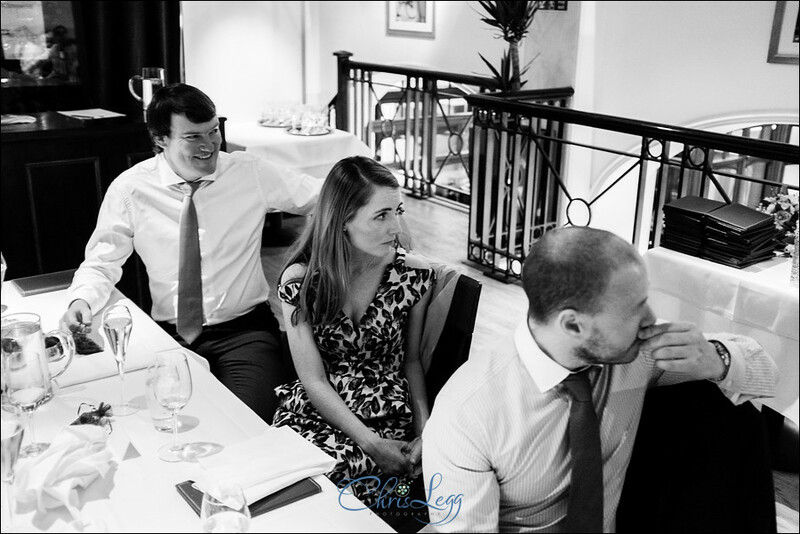 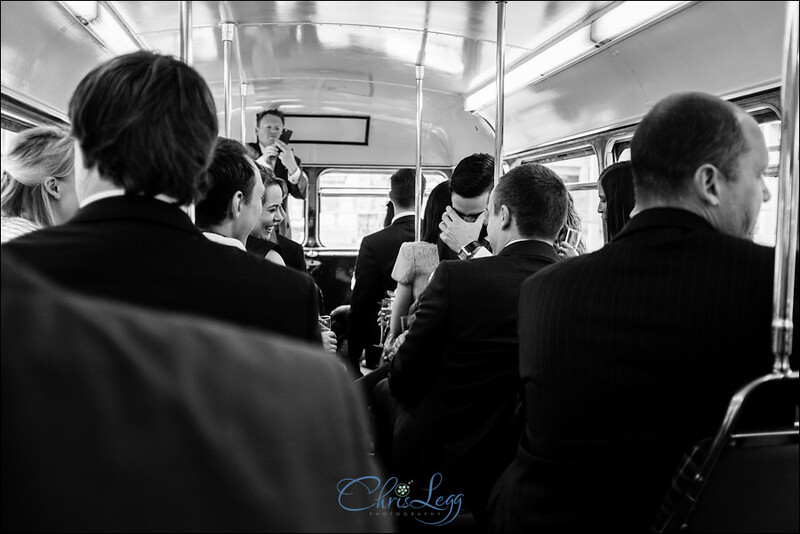 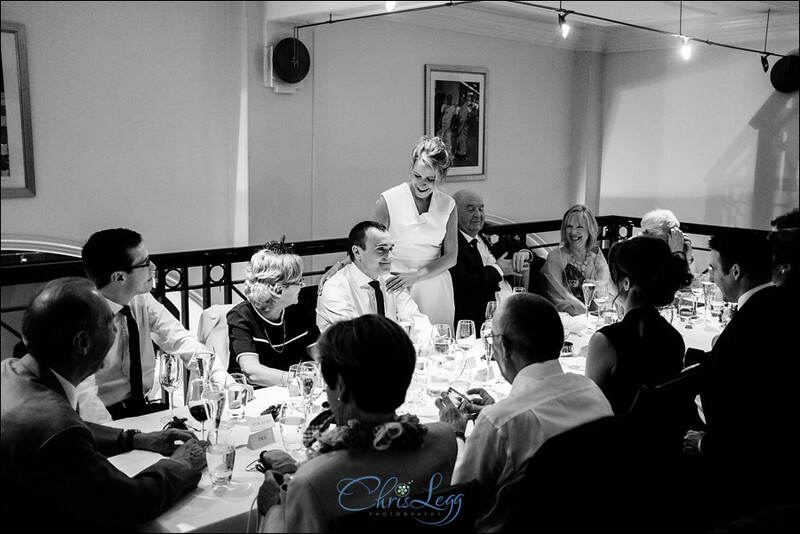 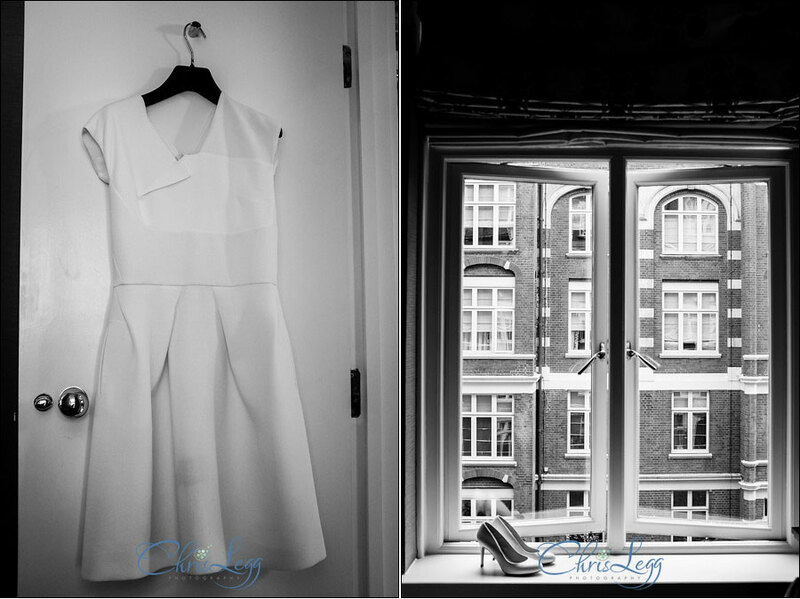 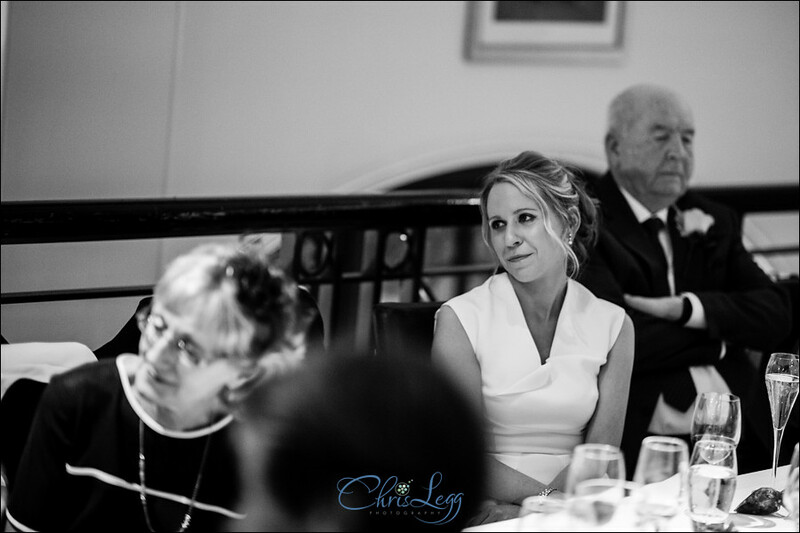 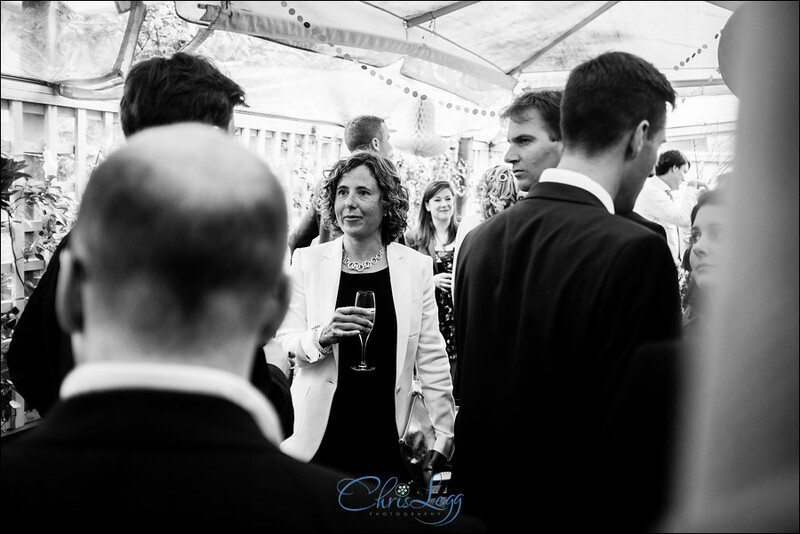 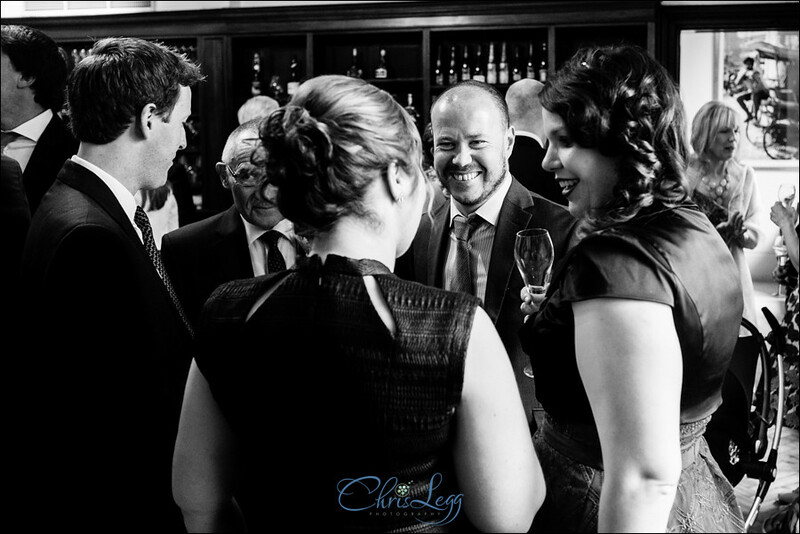 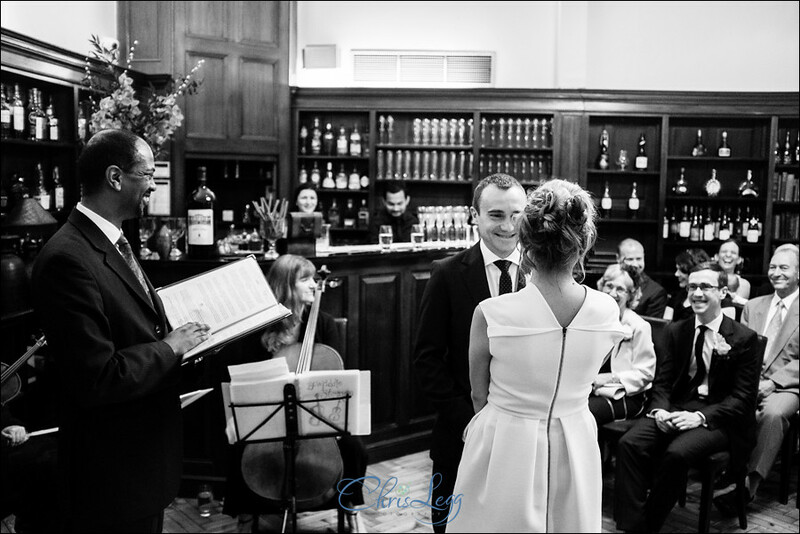 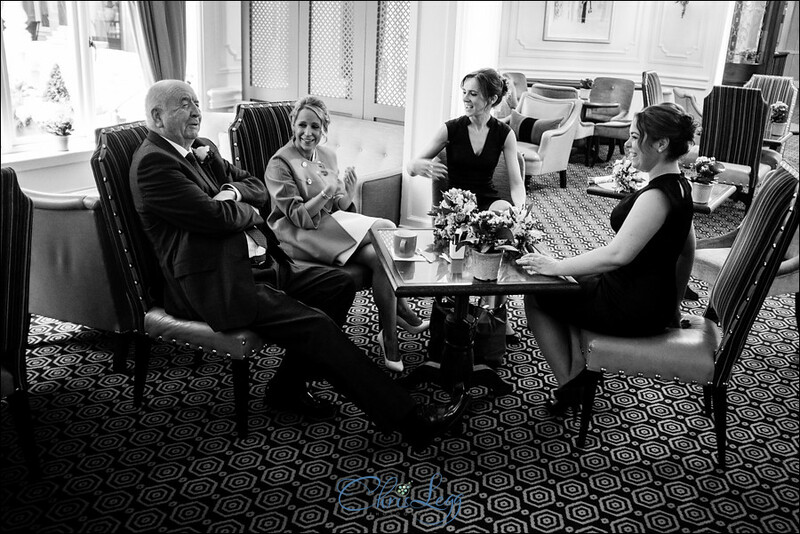 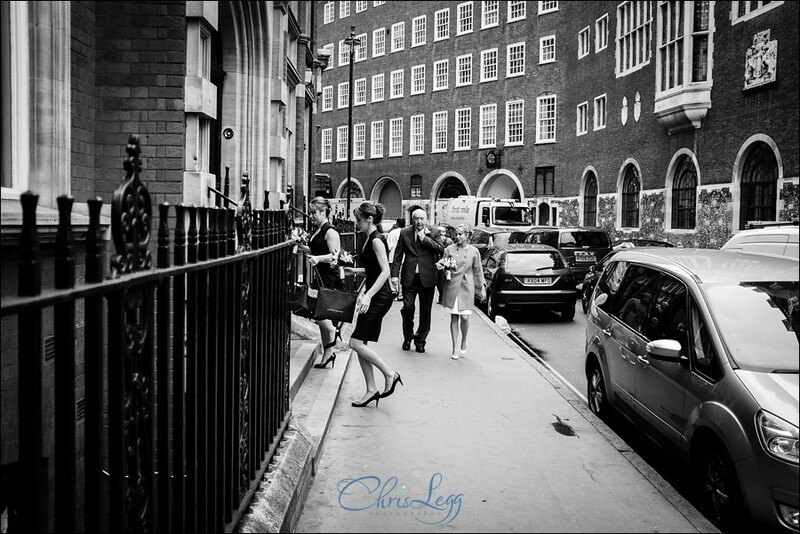 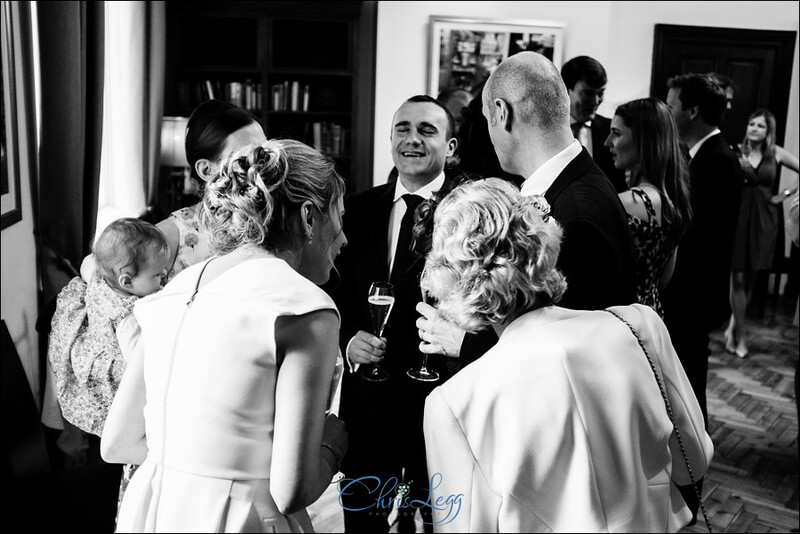 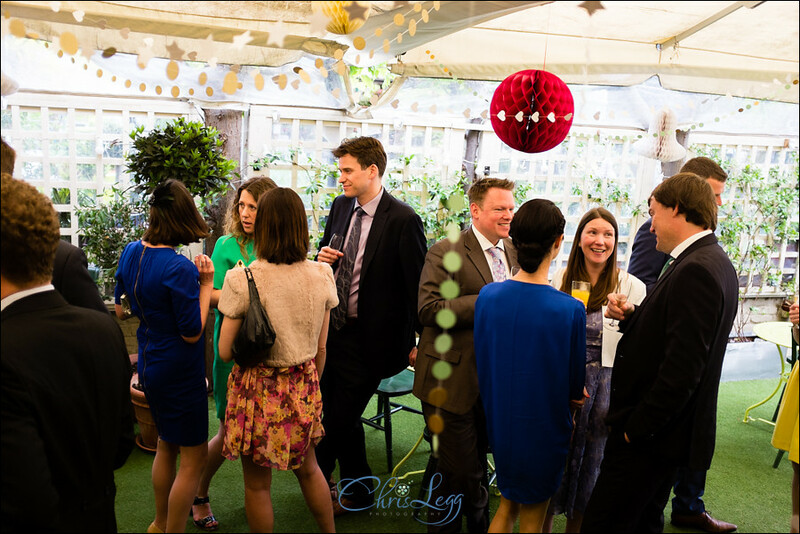 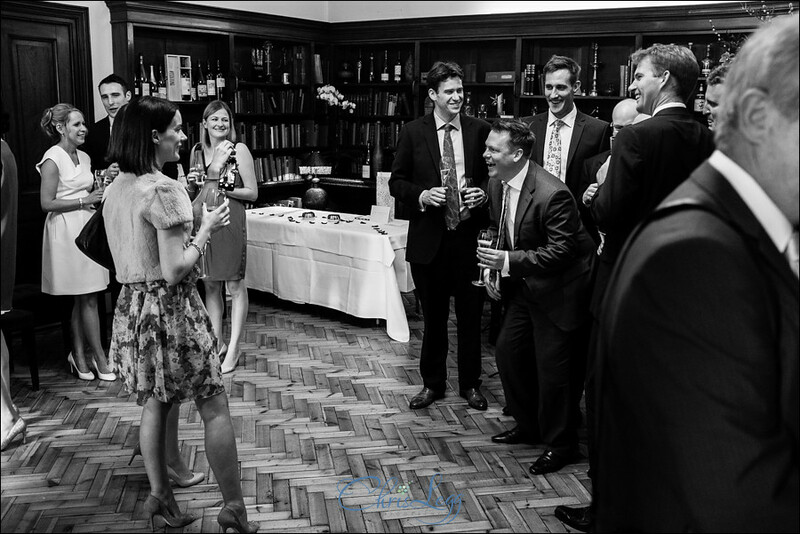 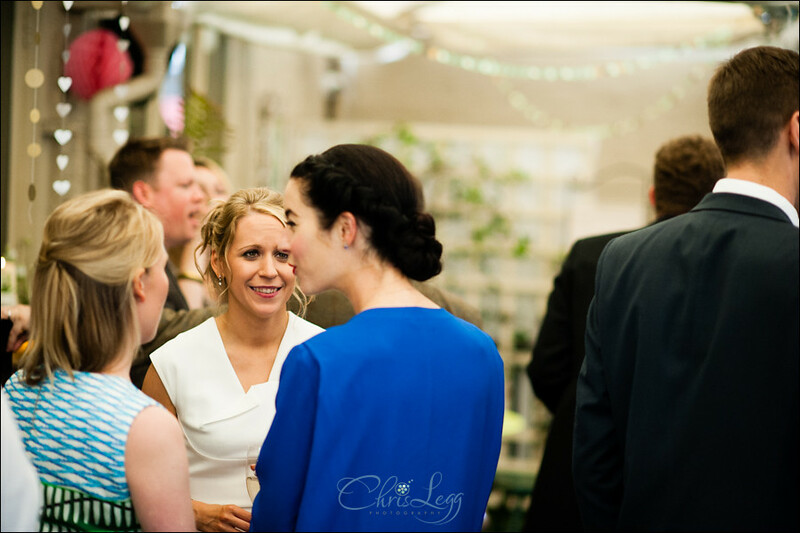 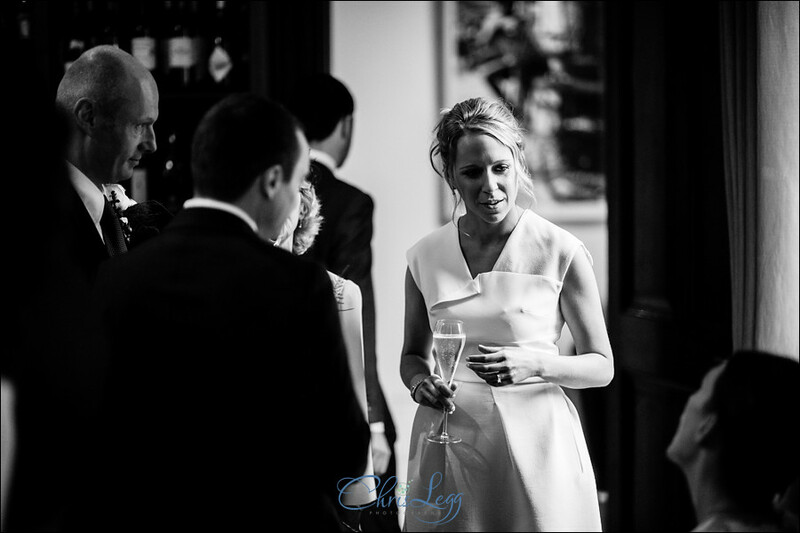 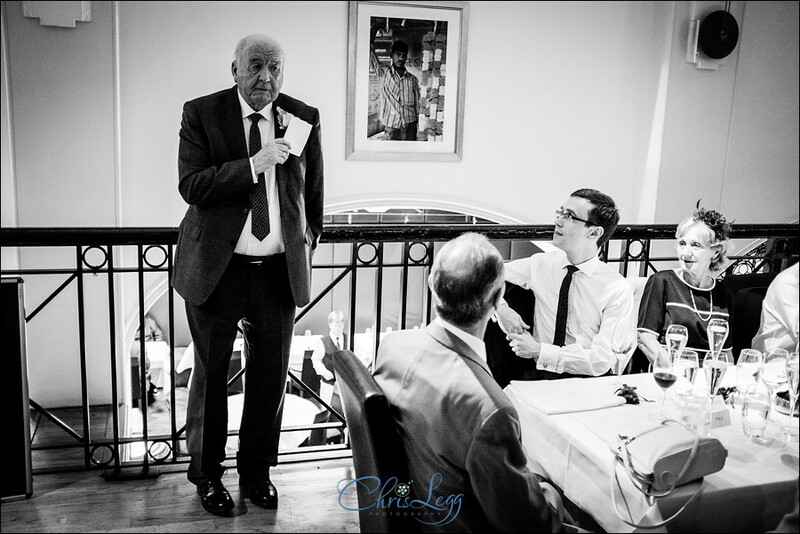 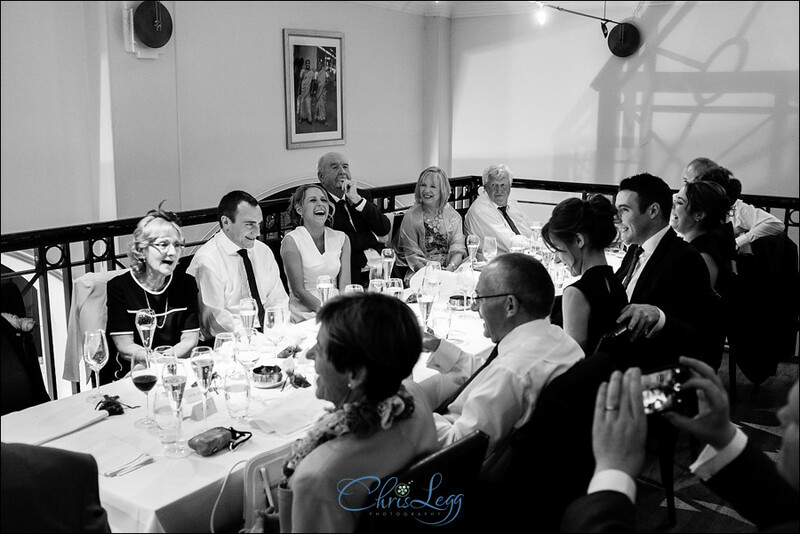 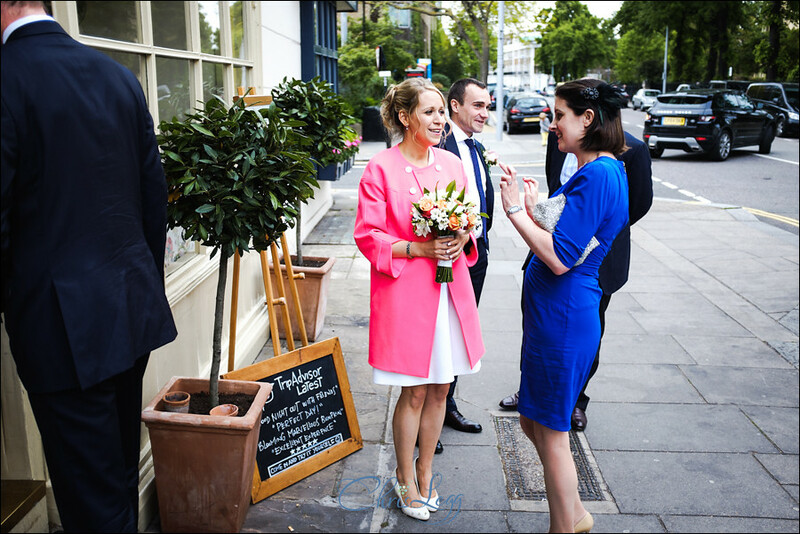 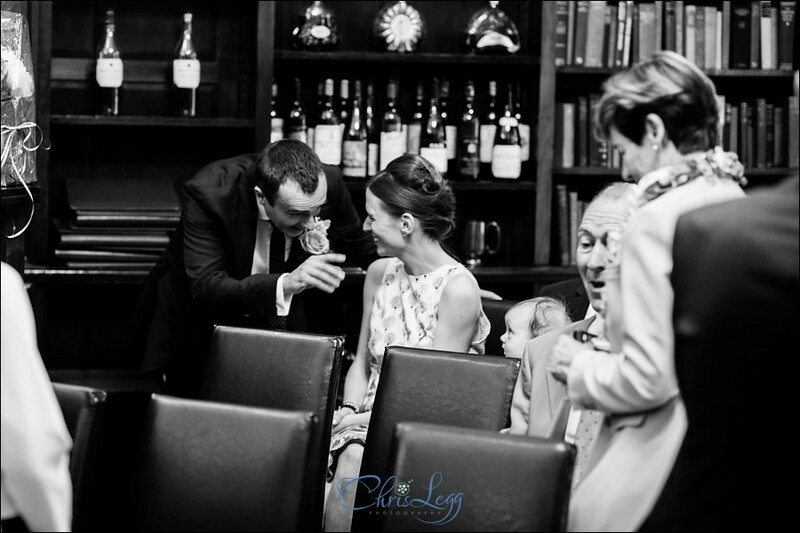 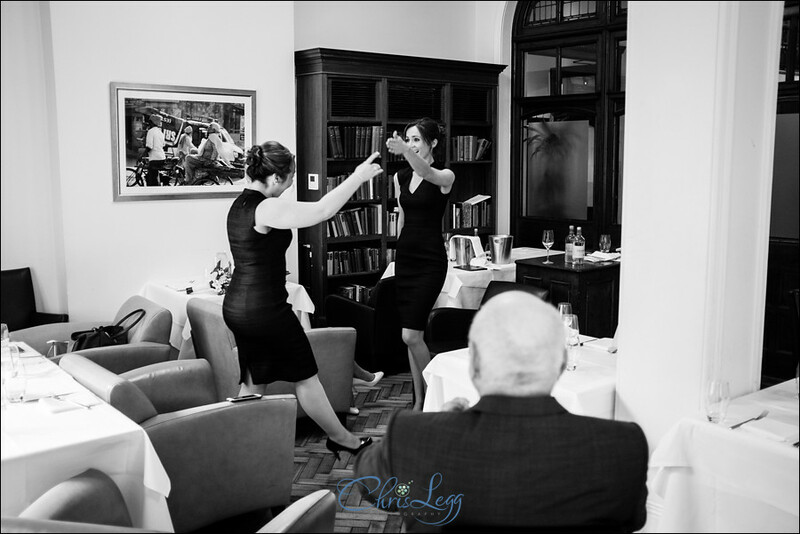 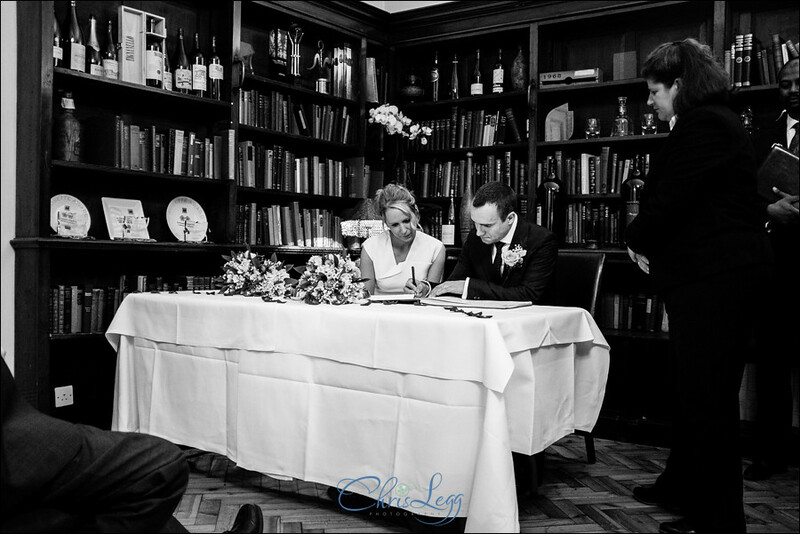 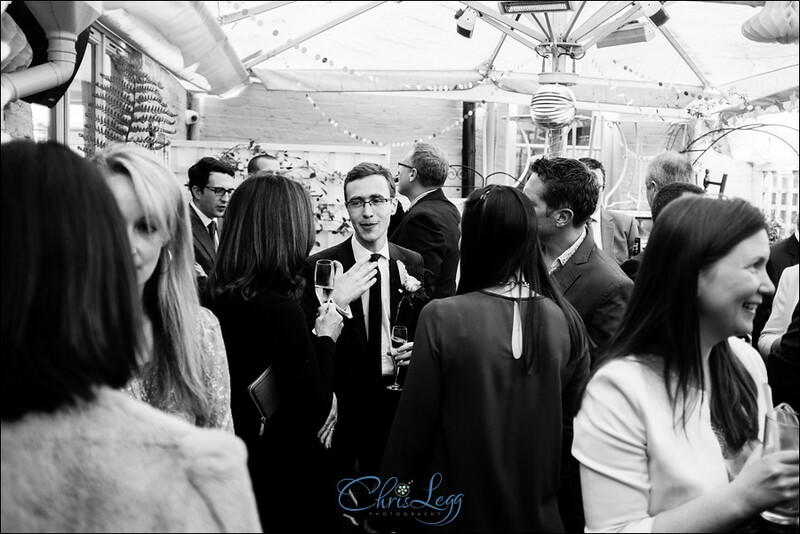 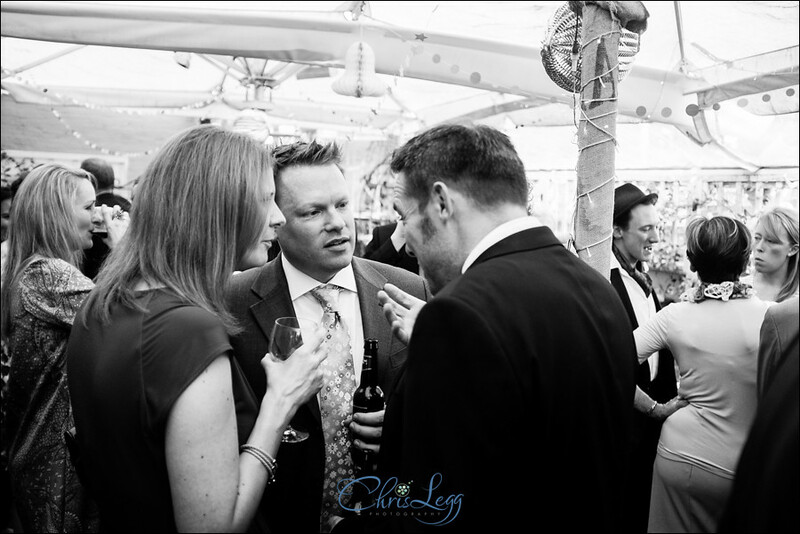 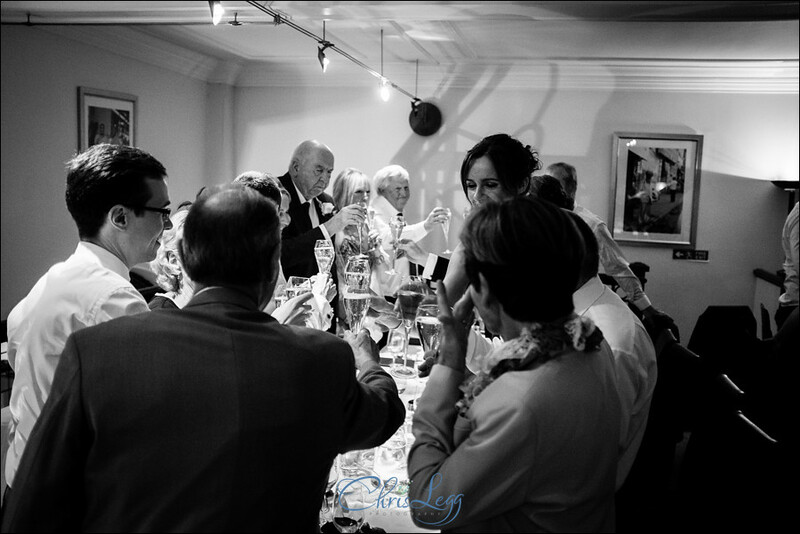 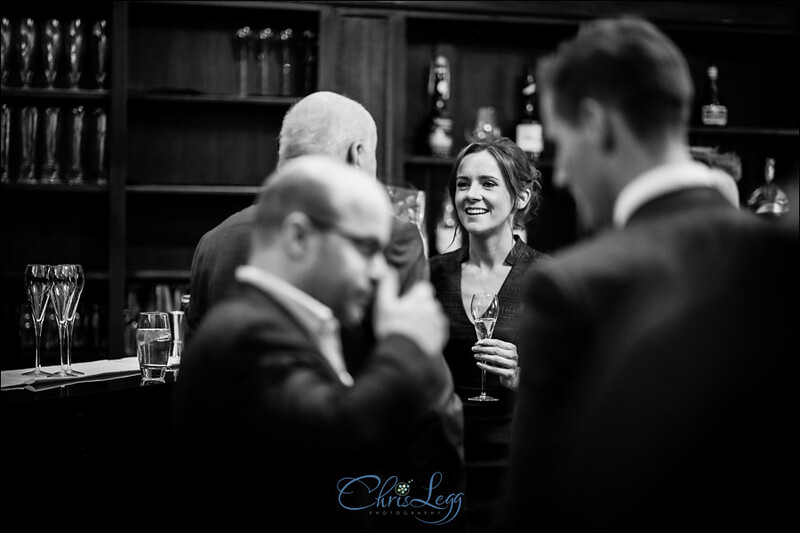 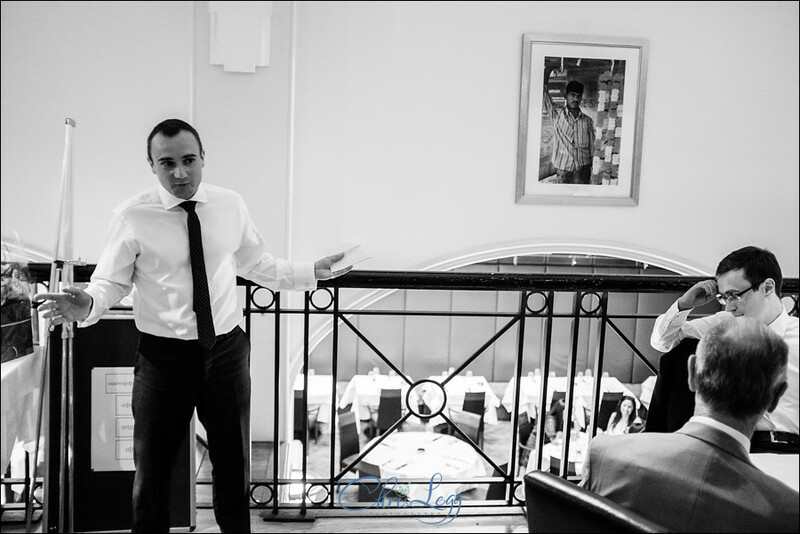 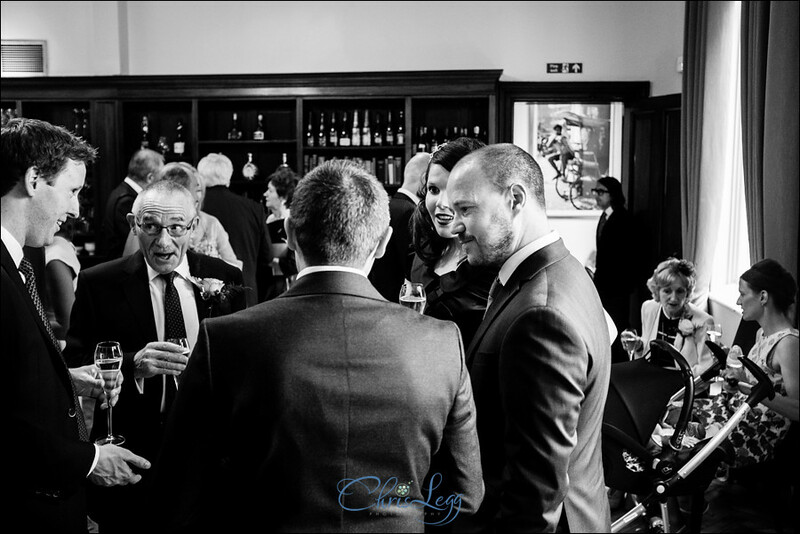 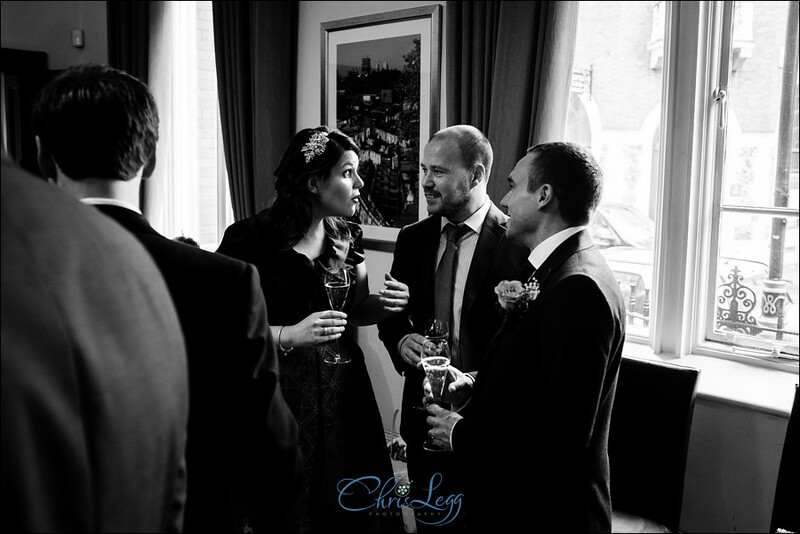 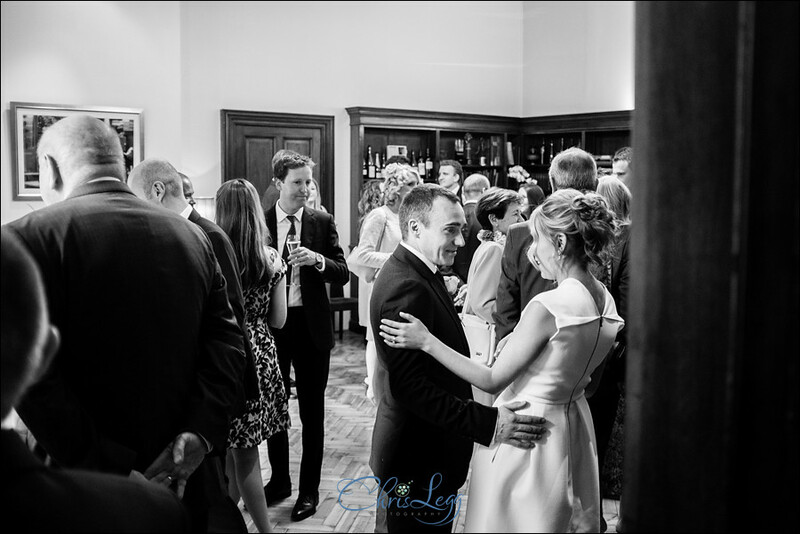 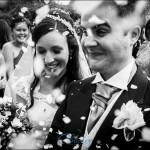 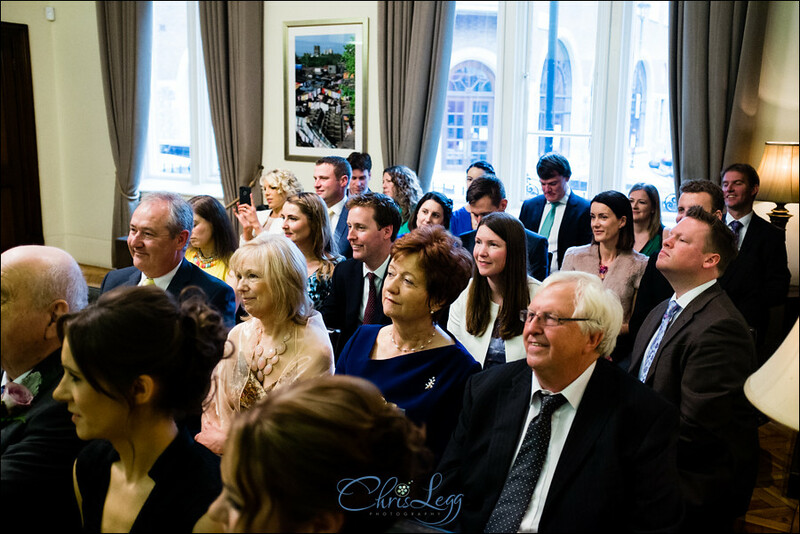 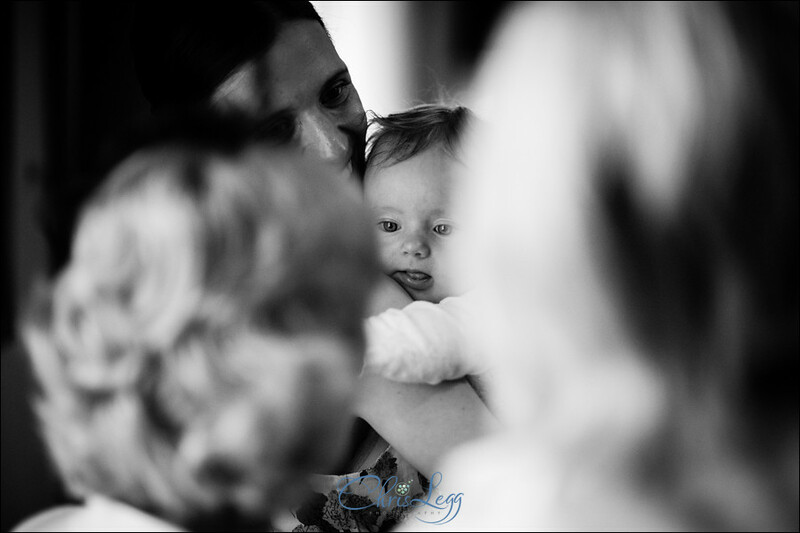 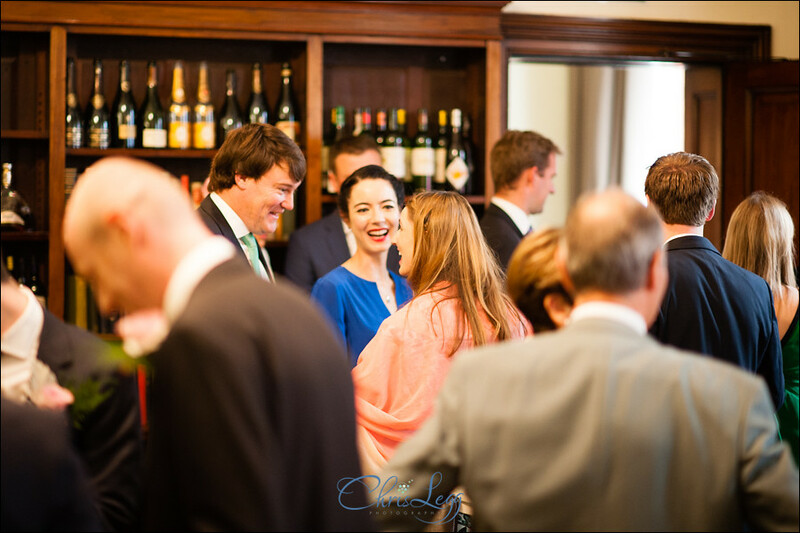 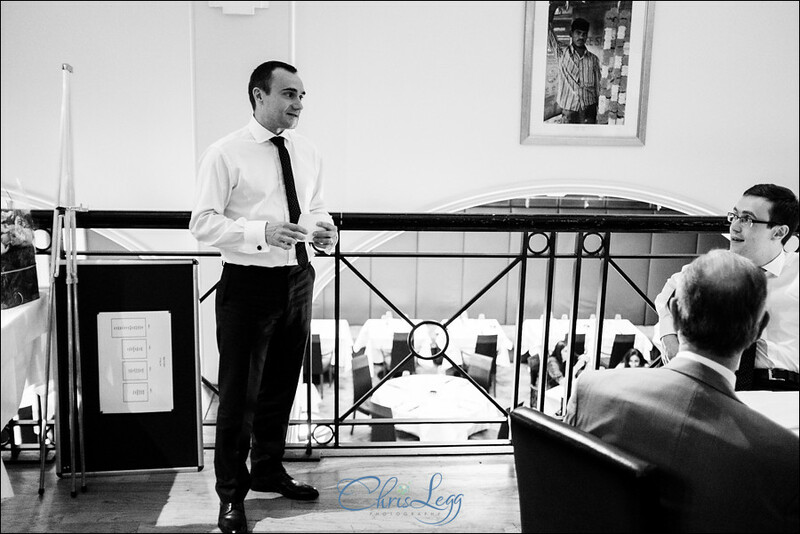 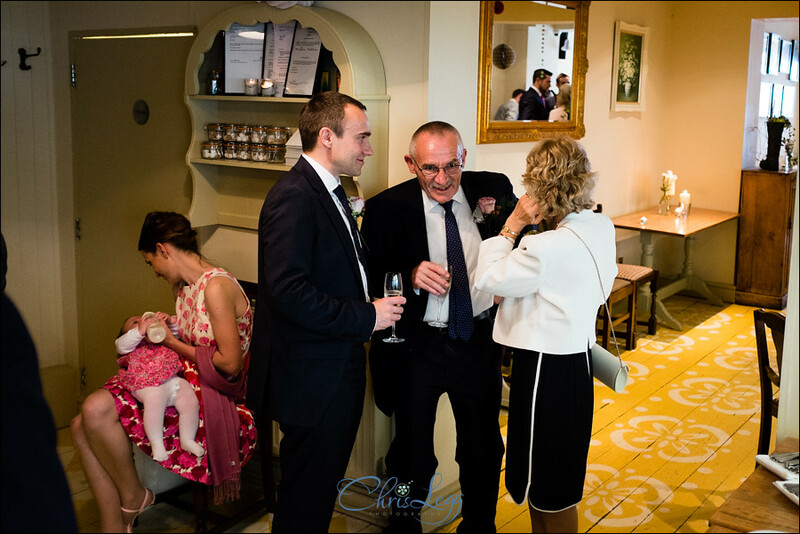 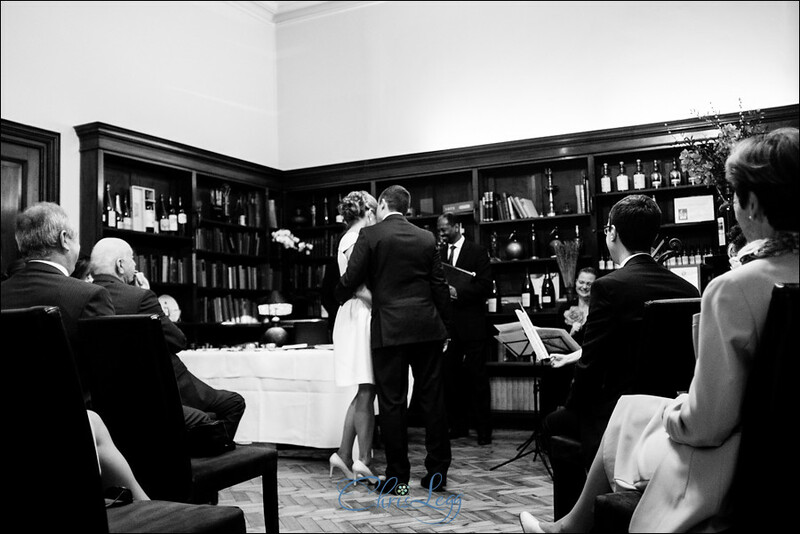 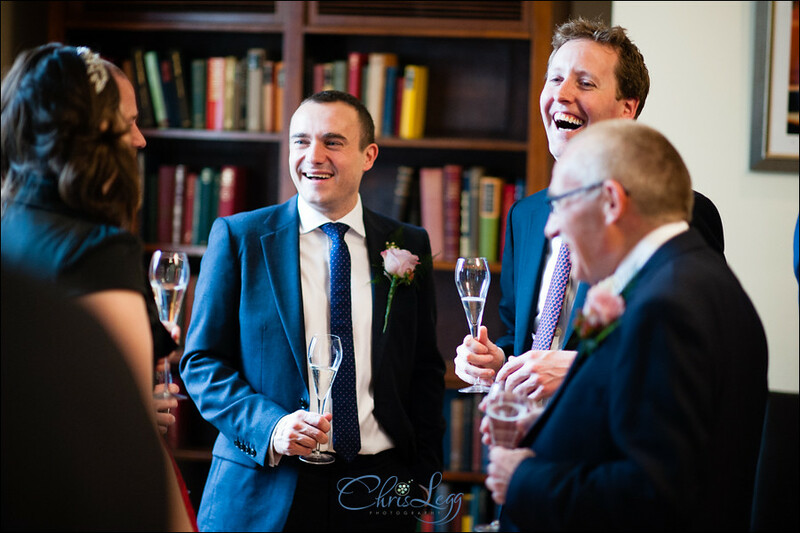 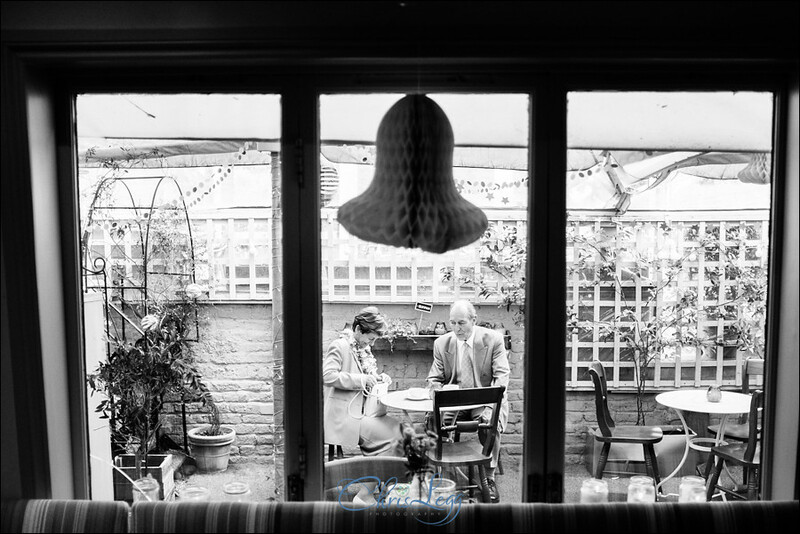 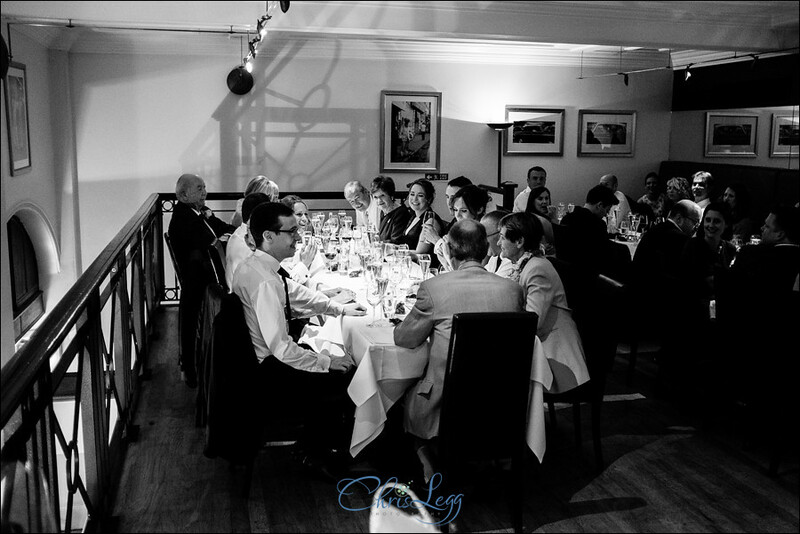 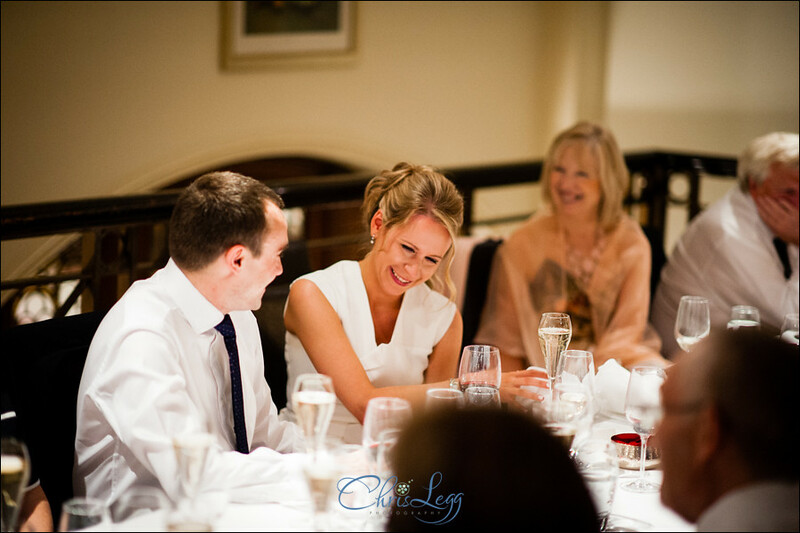 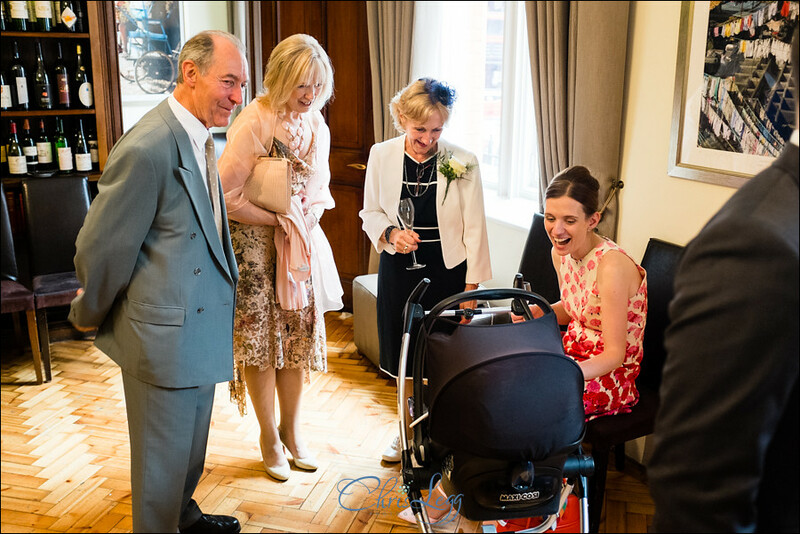 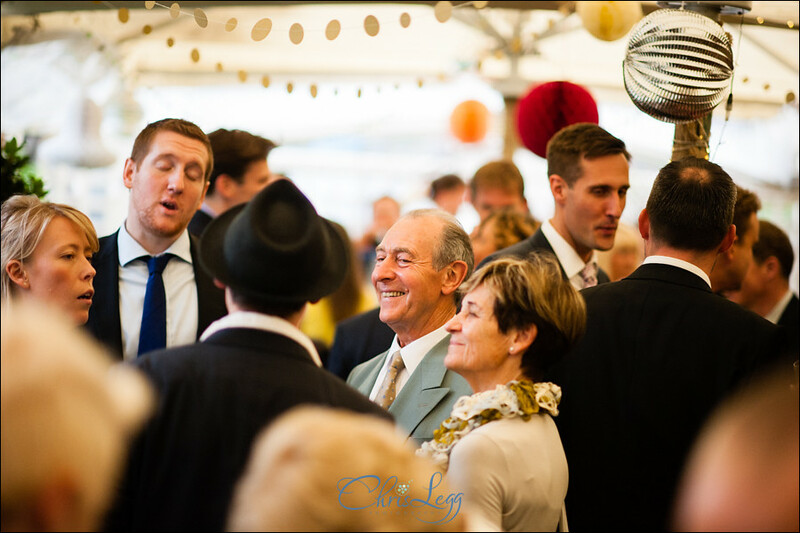 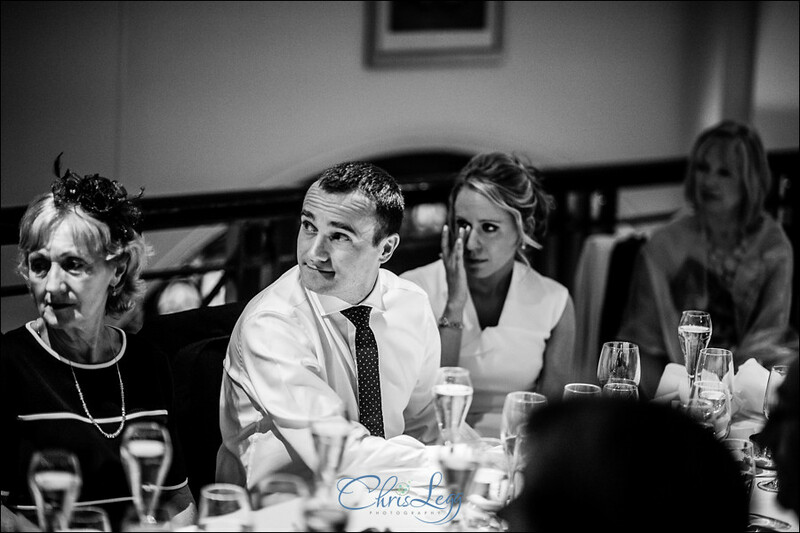 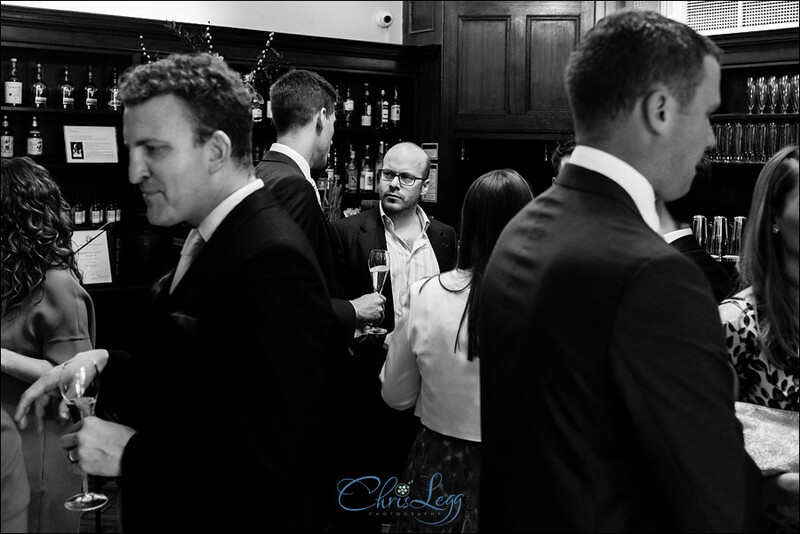 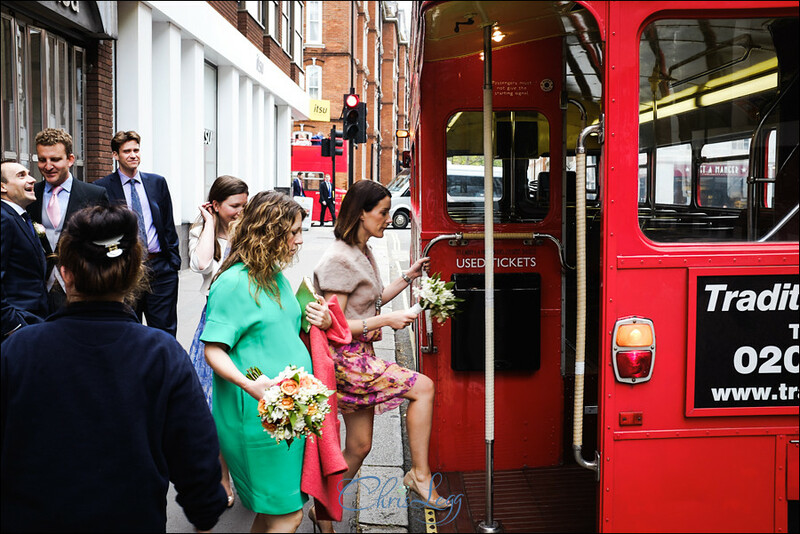 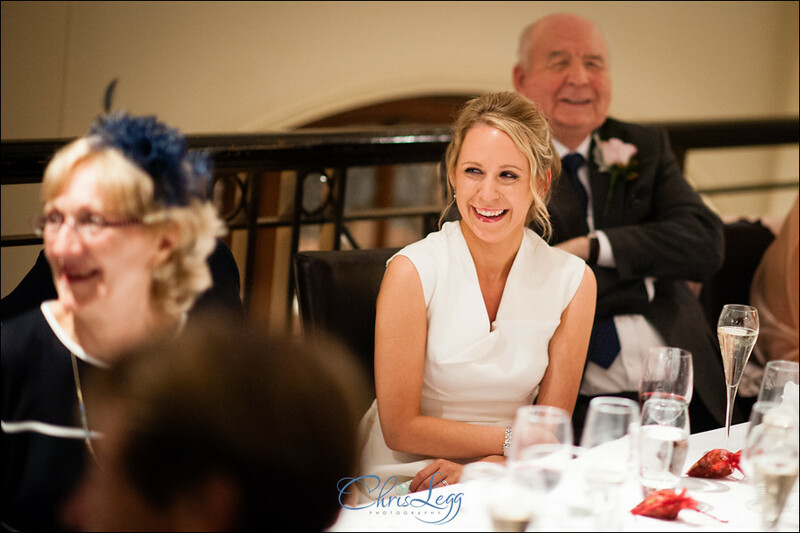 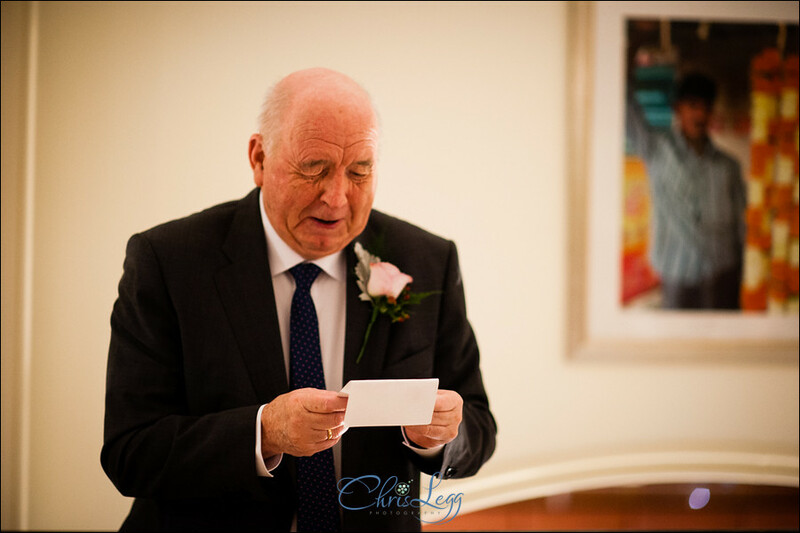 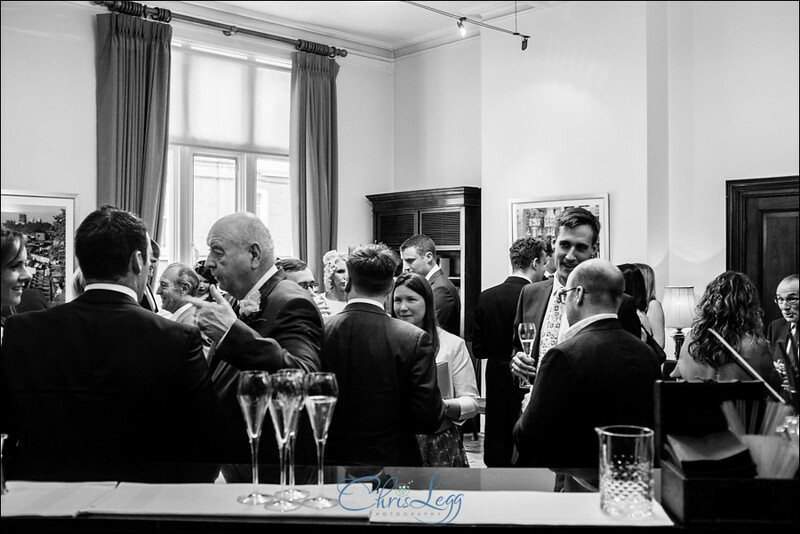 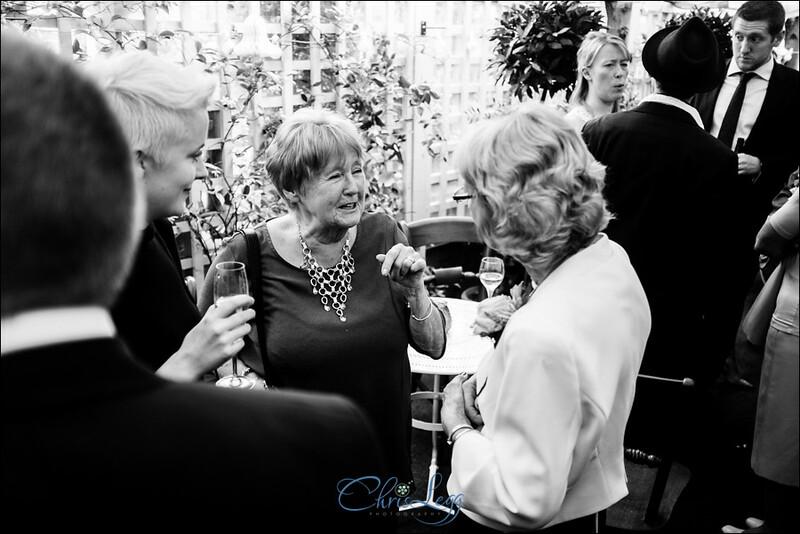 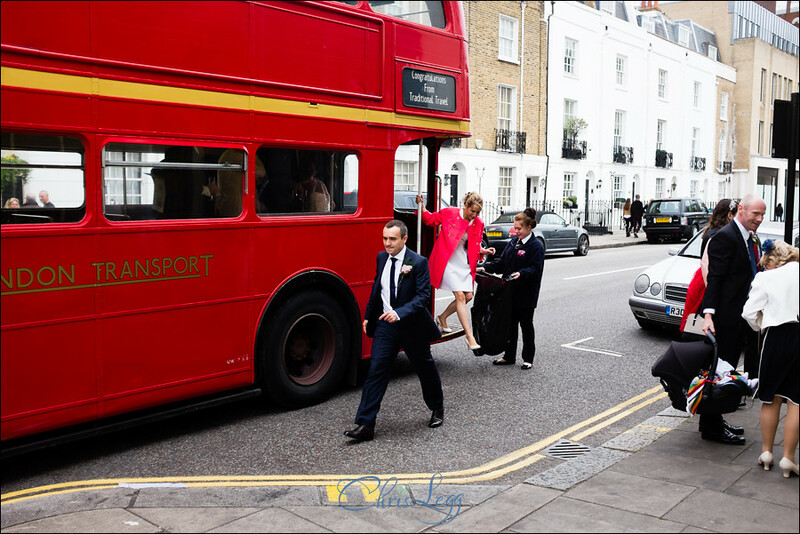 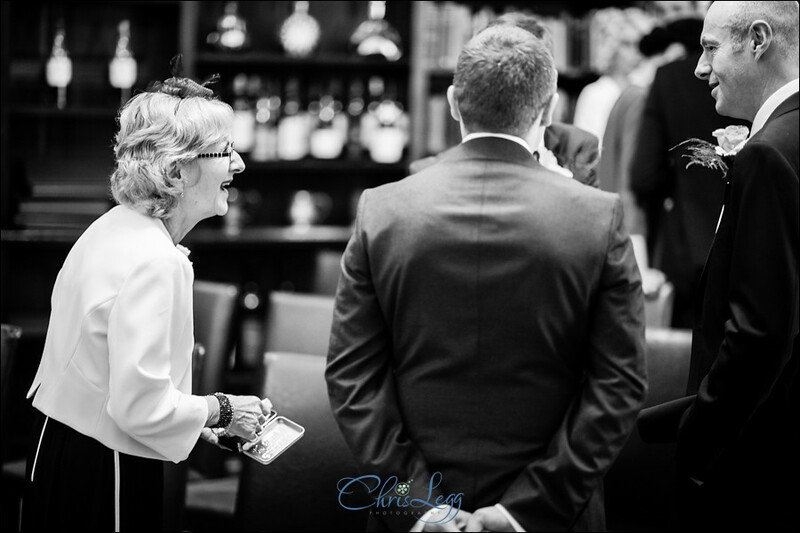 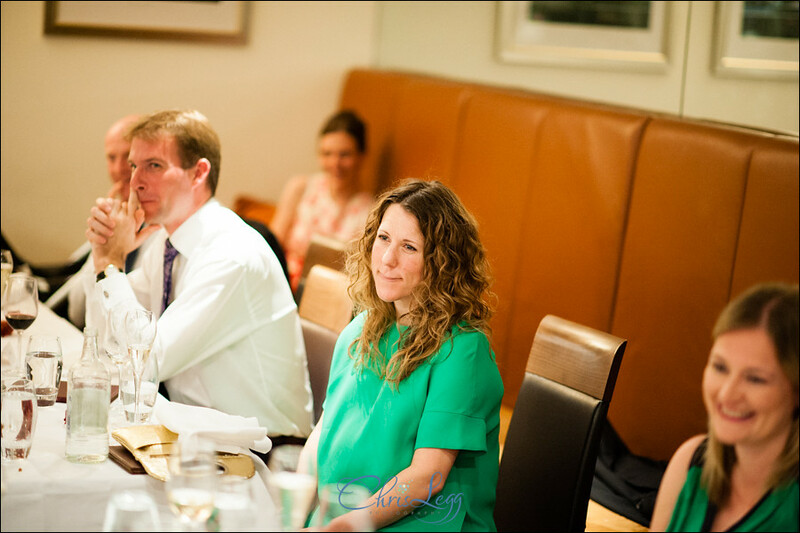 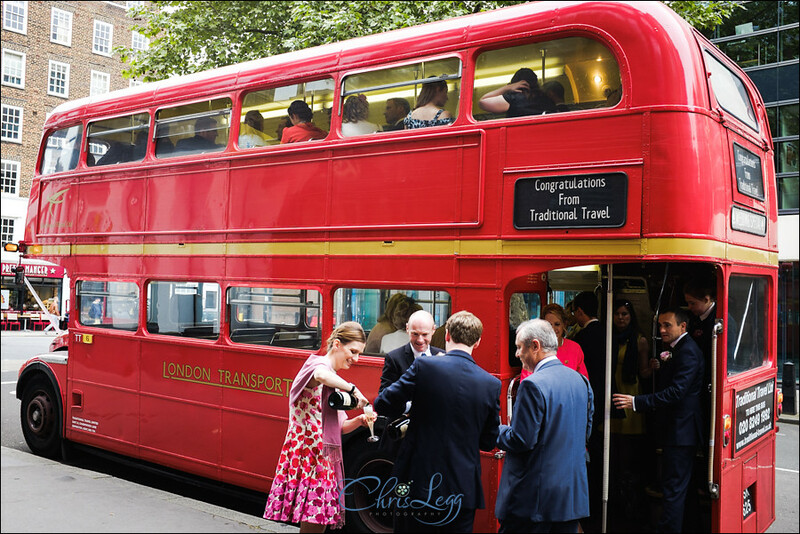 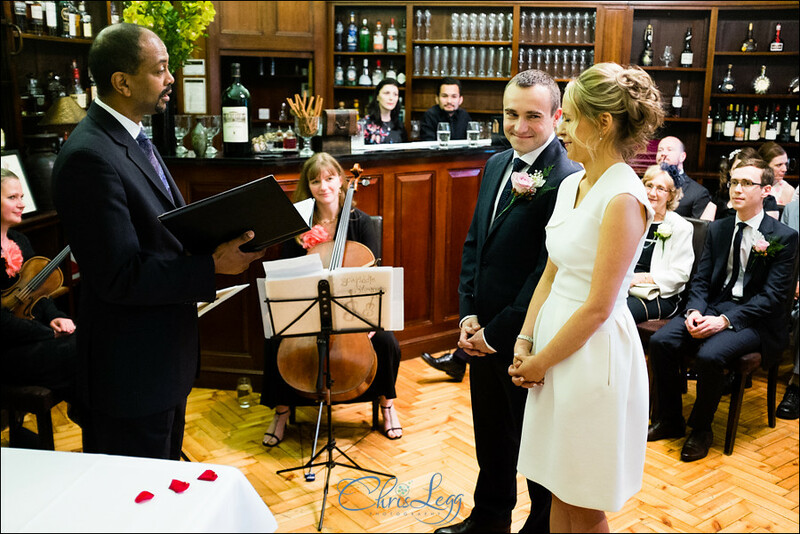 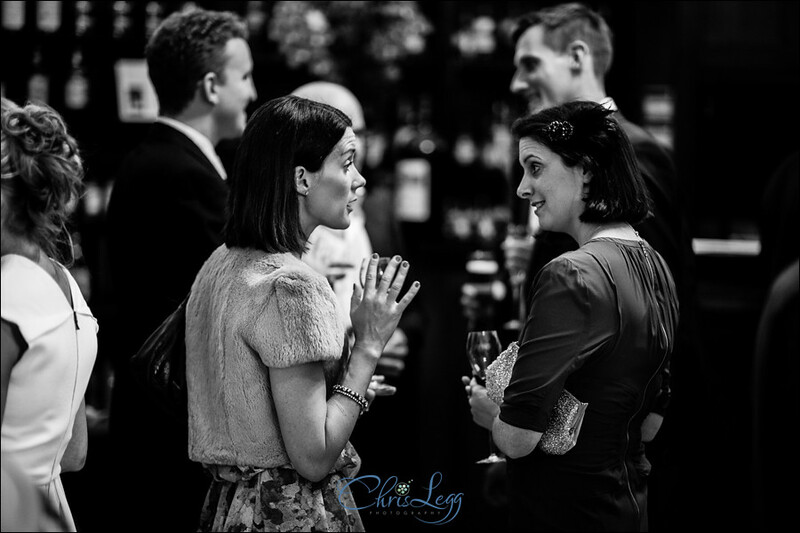 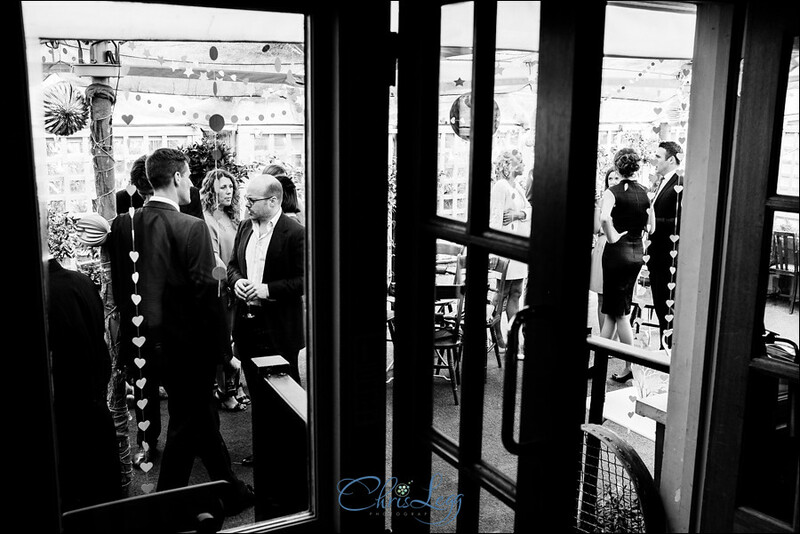 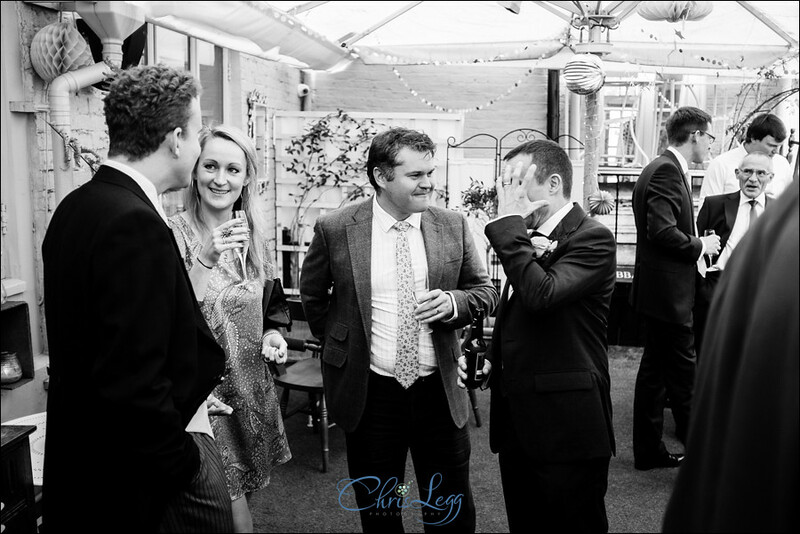 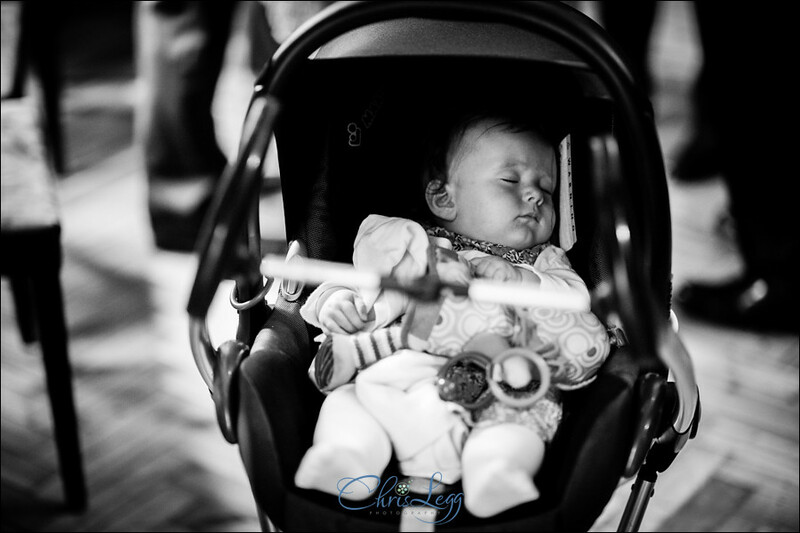 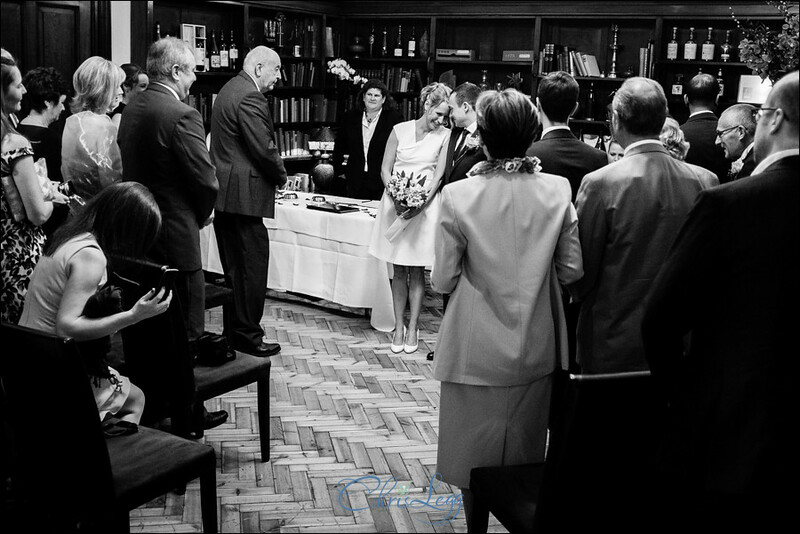 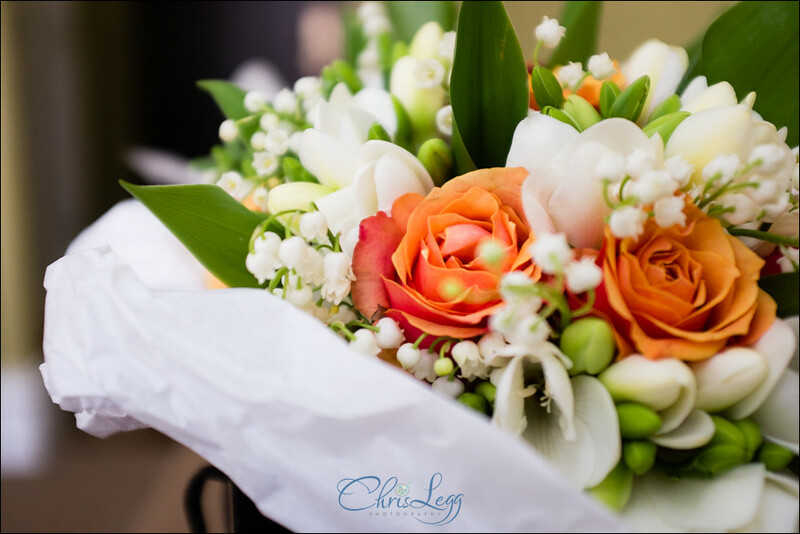 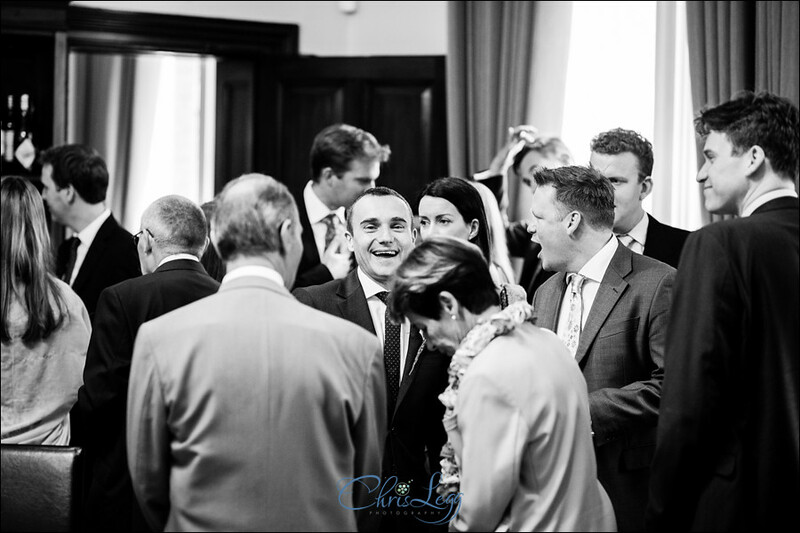 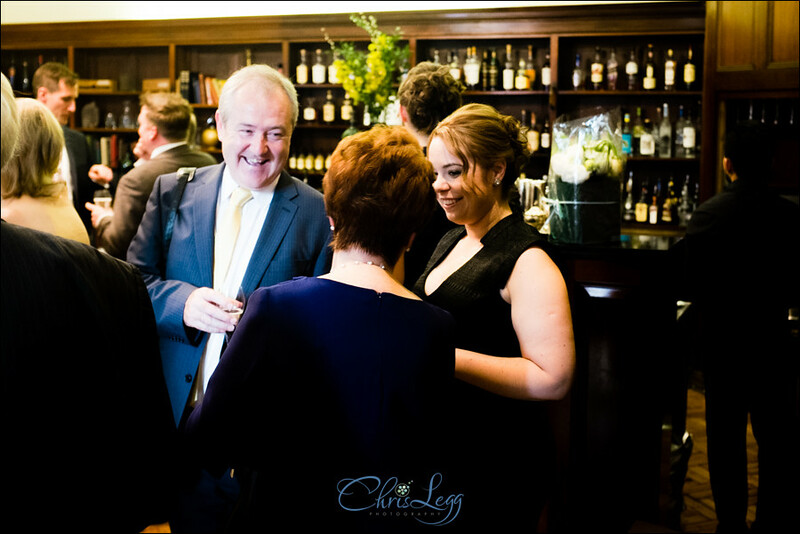 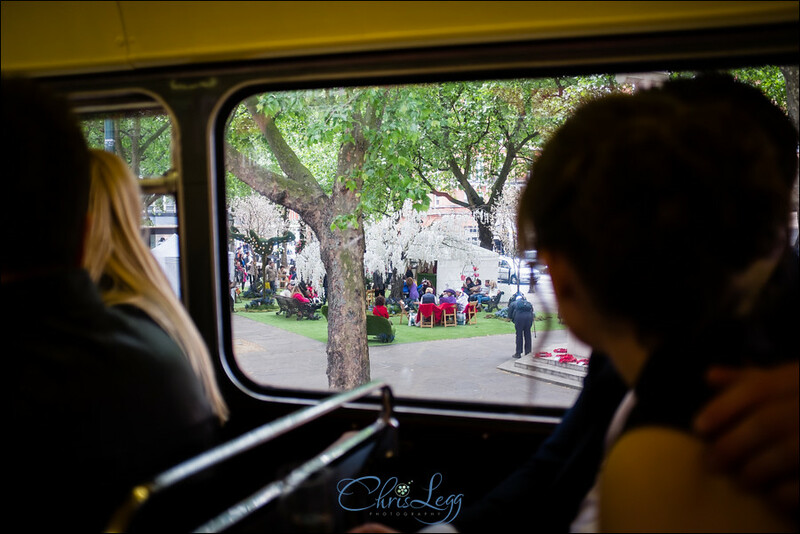 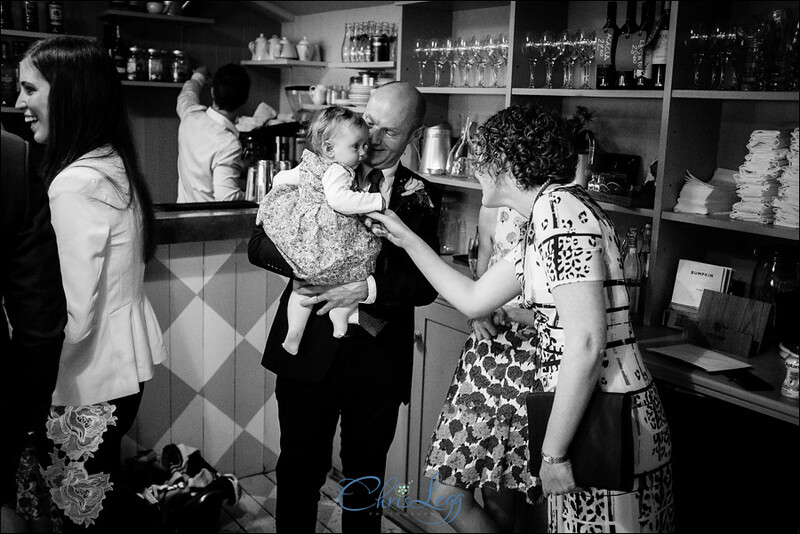 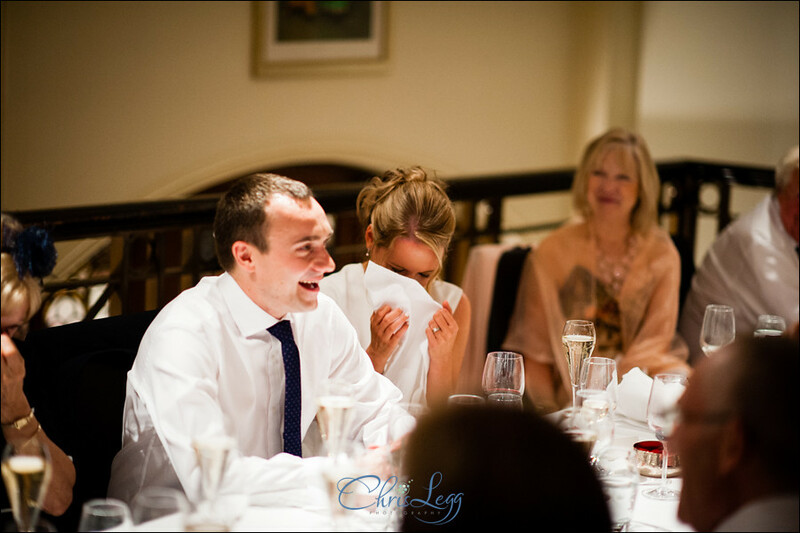 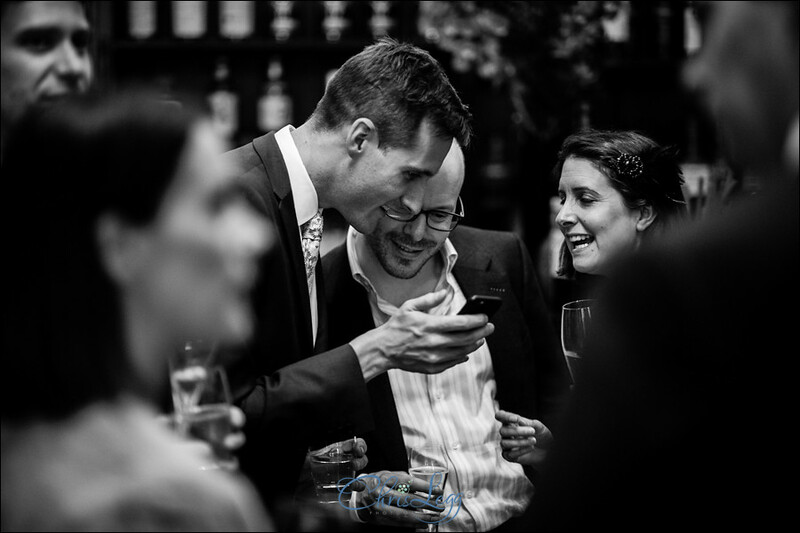 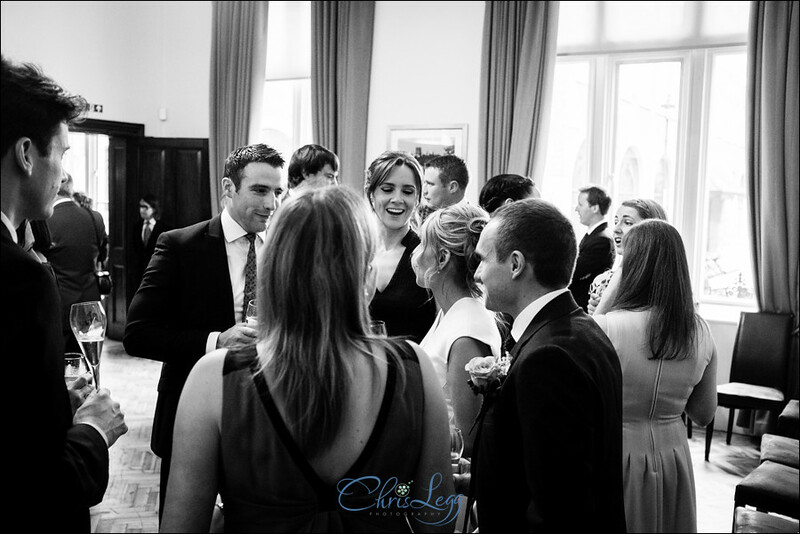 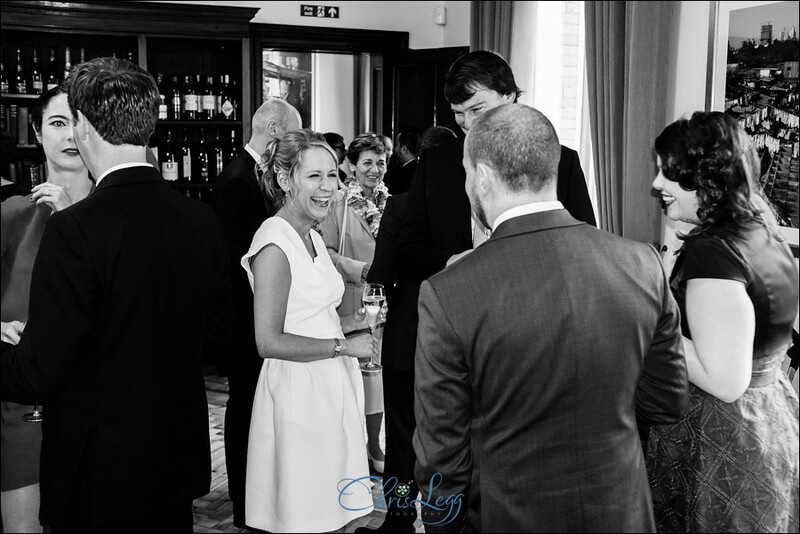 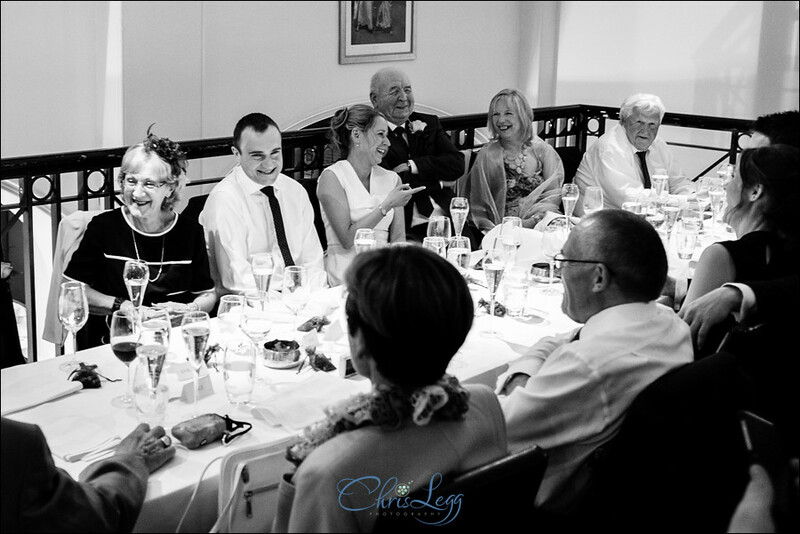 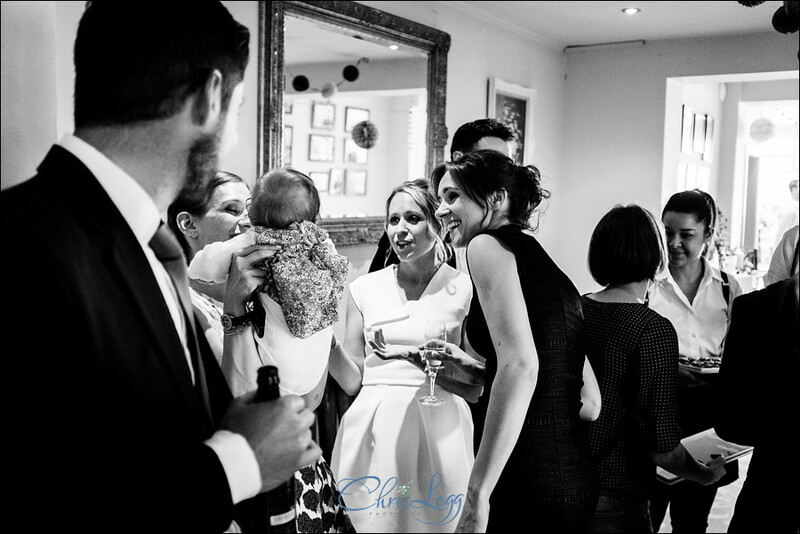 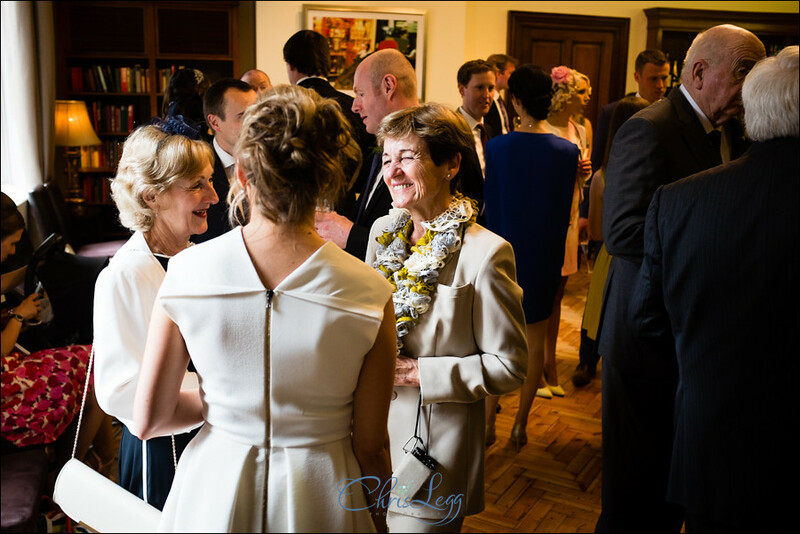 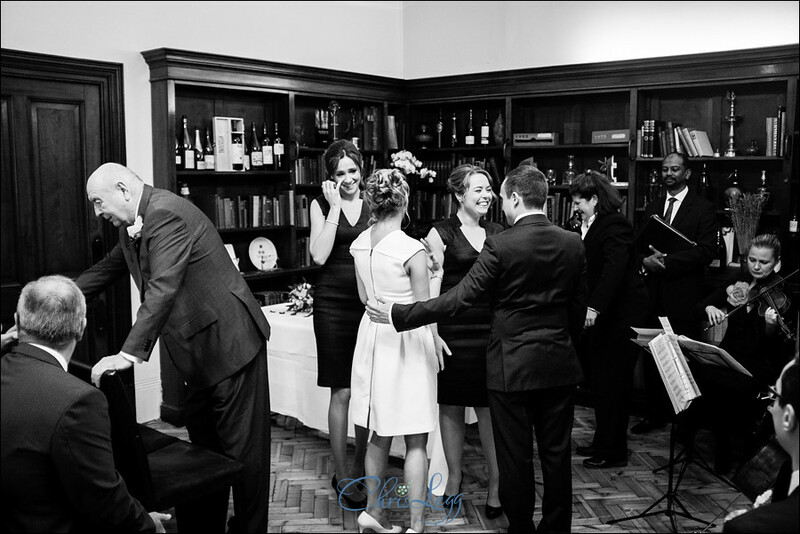 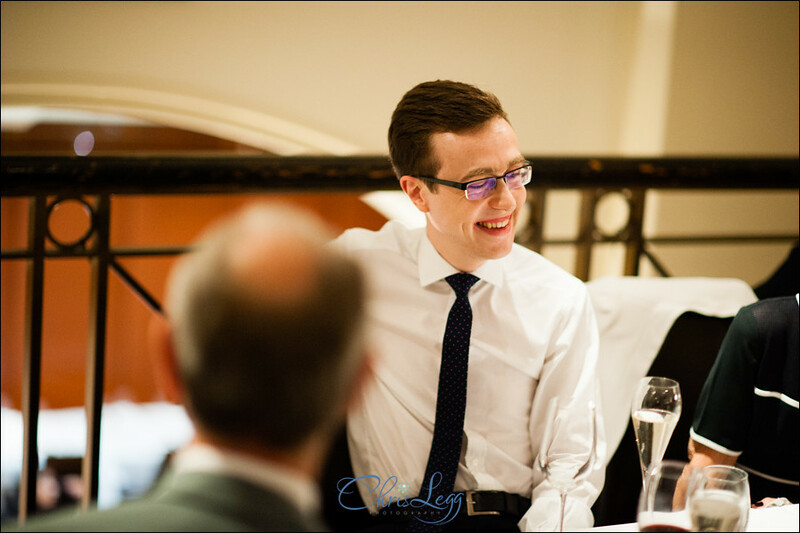 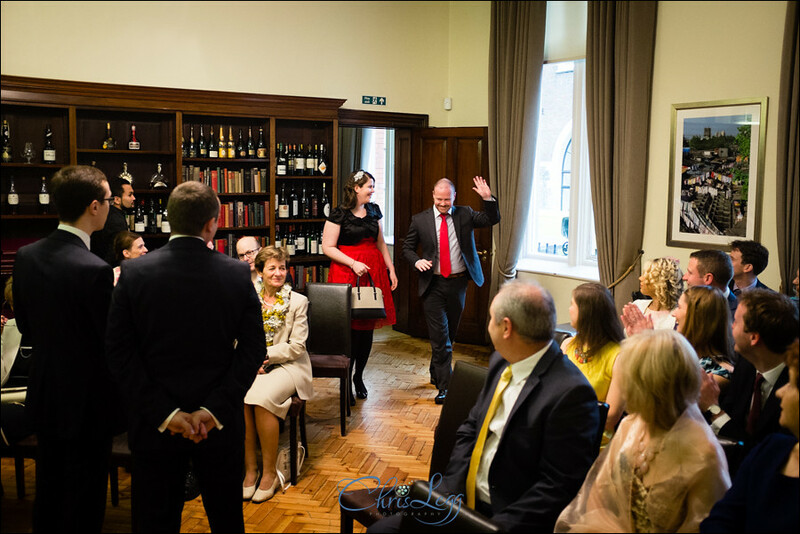 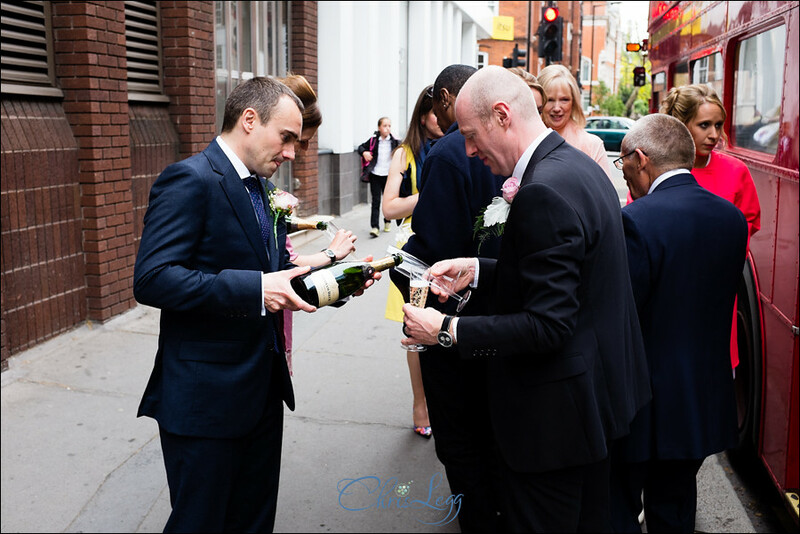 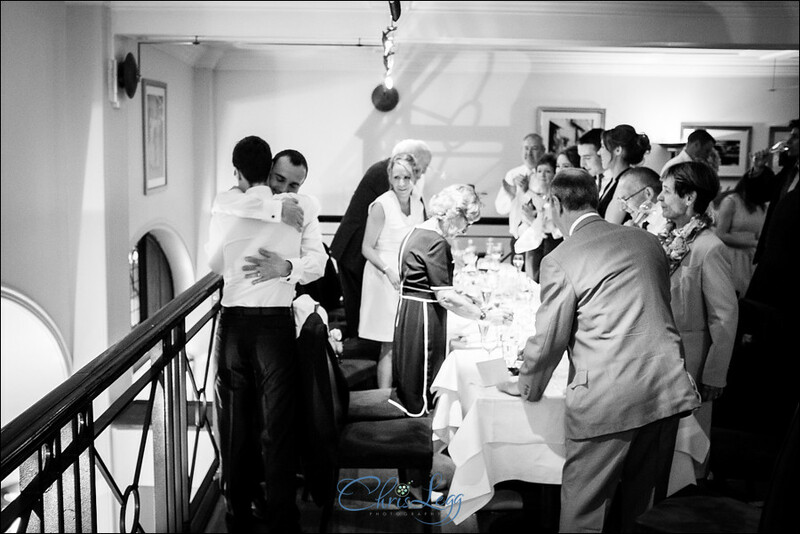 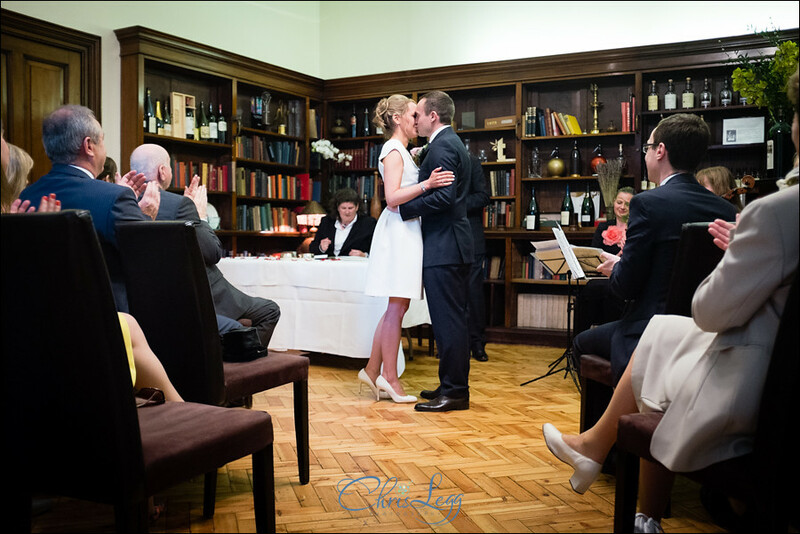 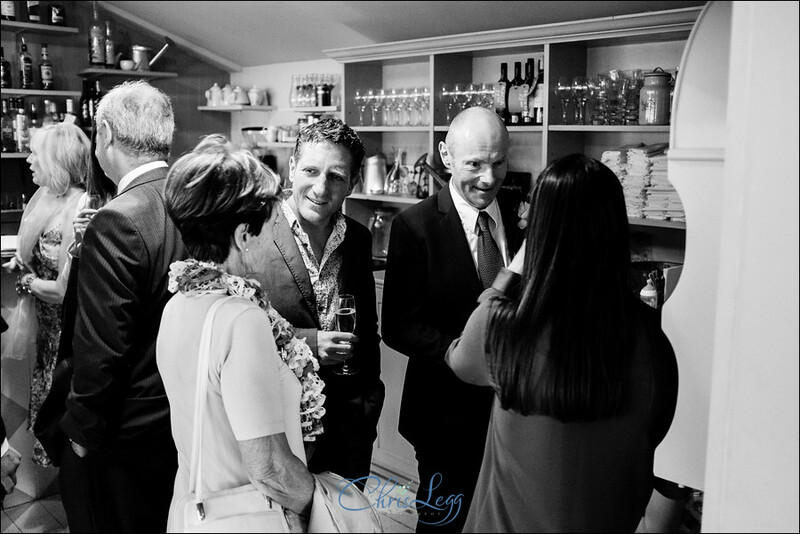 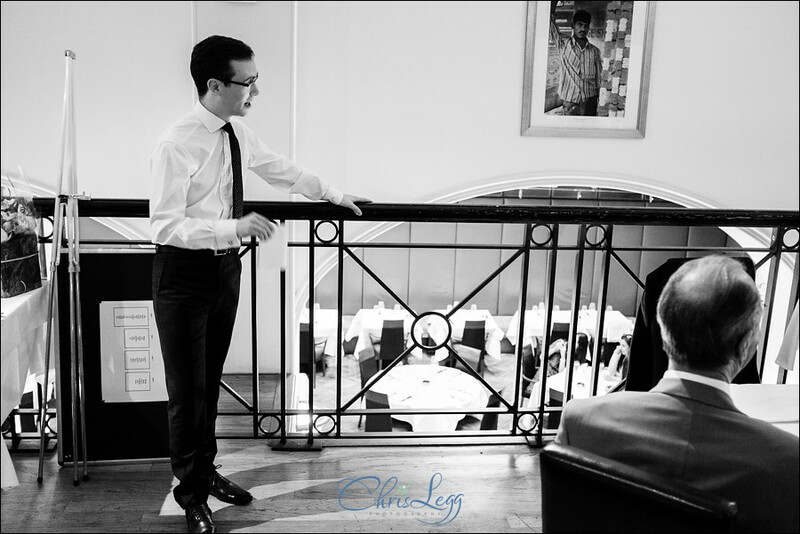 Some weddings are perfectly suited to documentary style wedding photography, Birgit and Andy’s wedding at the Cinnamon Club in London was most certainly one of them. 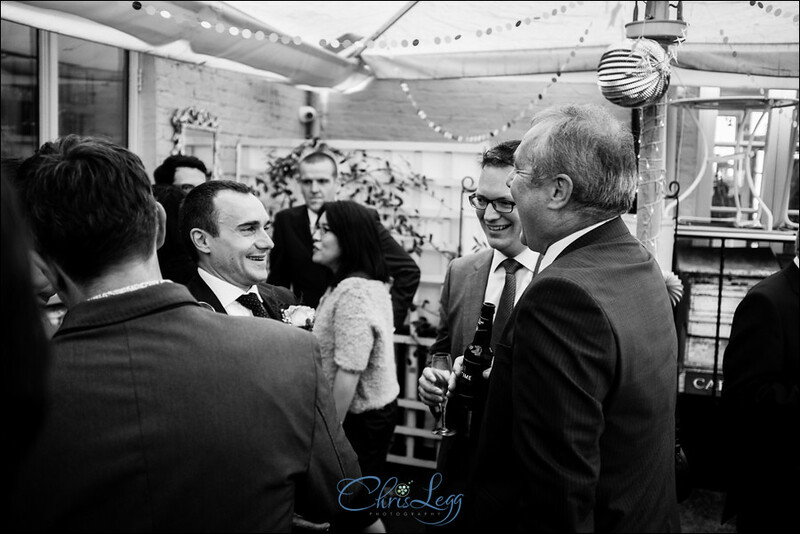 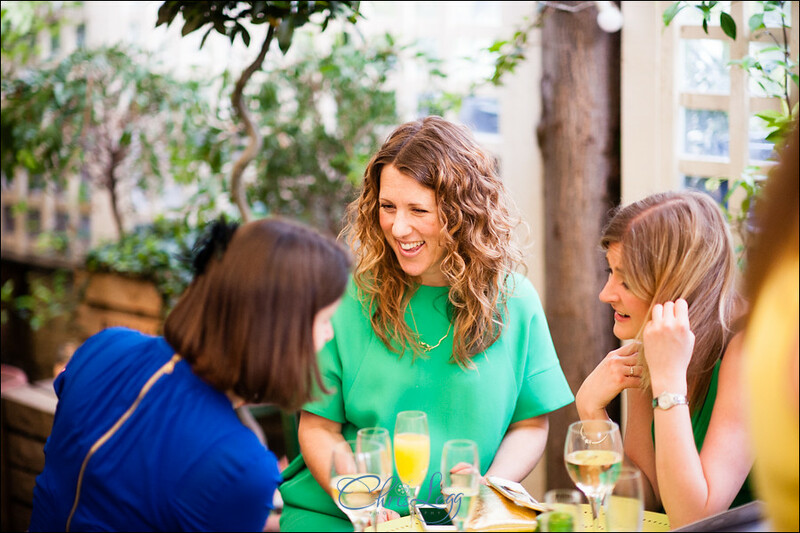 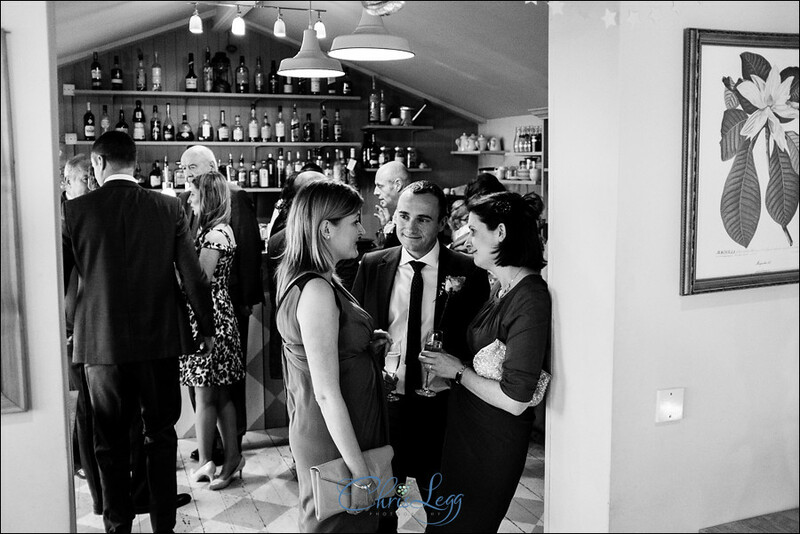 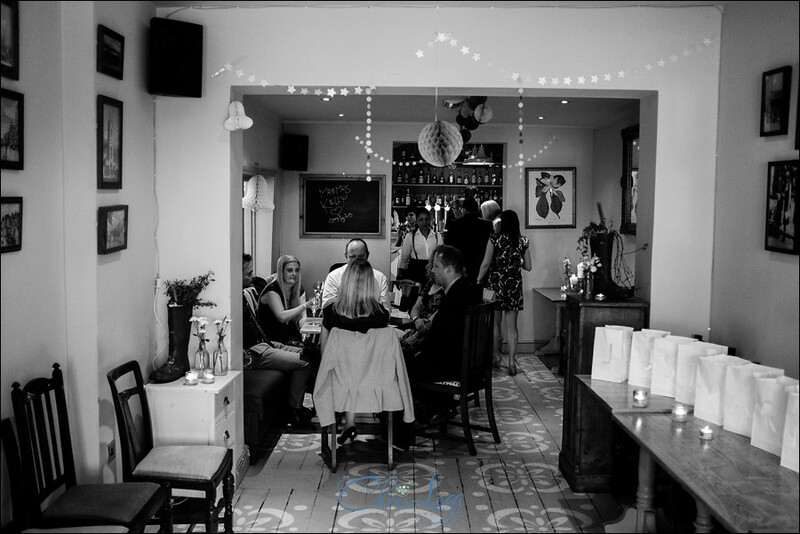 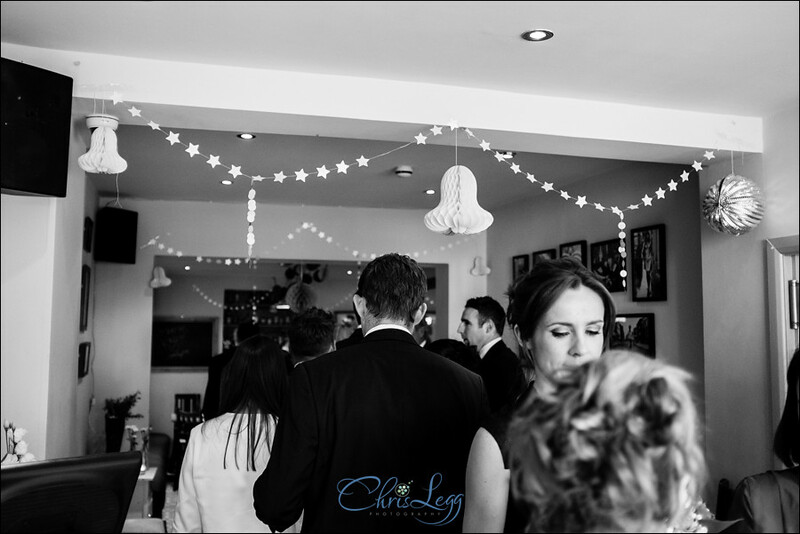 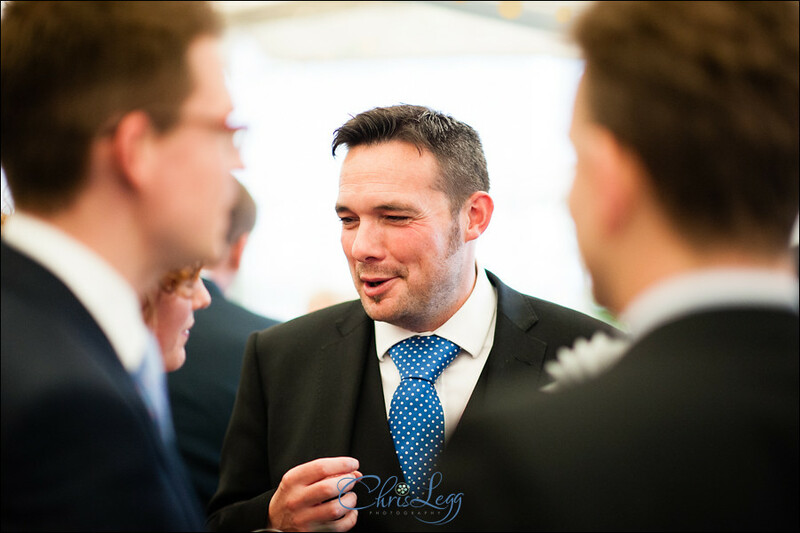 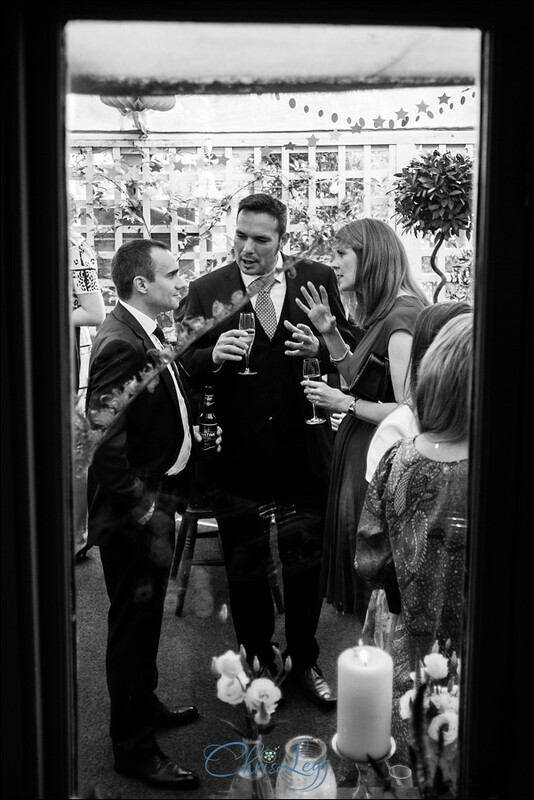 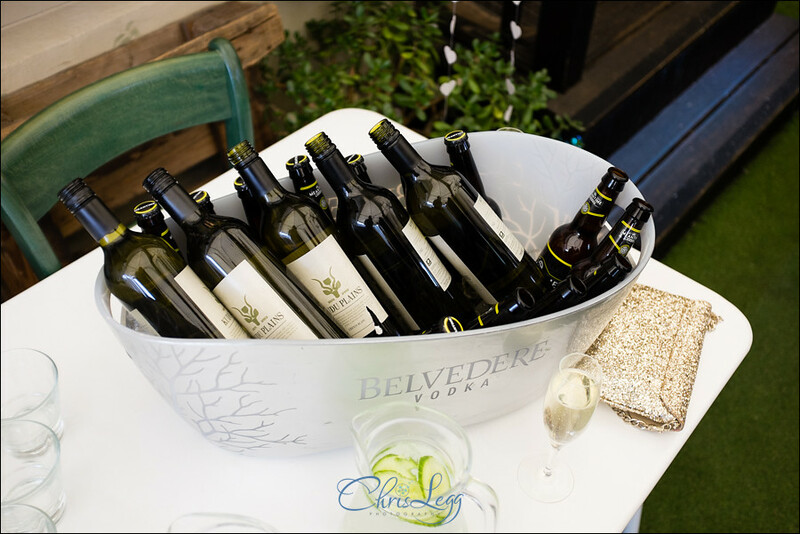 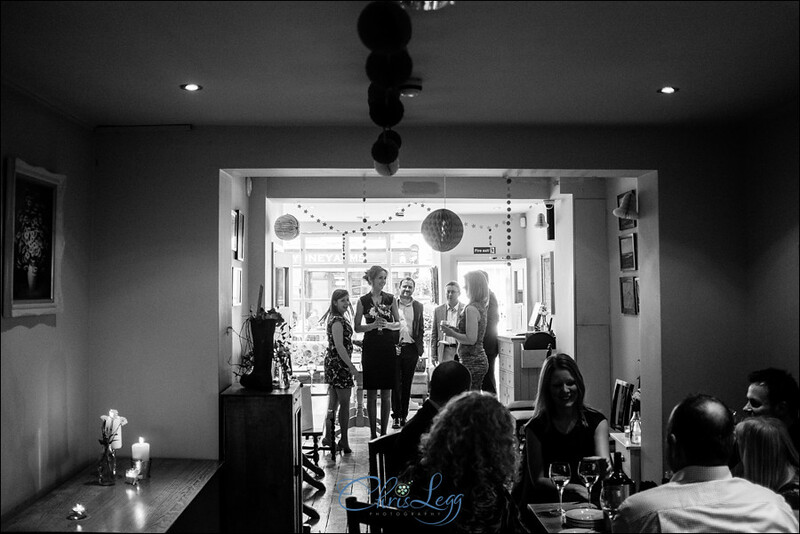 As chilled out and relaxed as you can get and all about on having a wonderful day celebrating with friends. 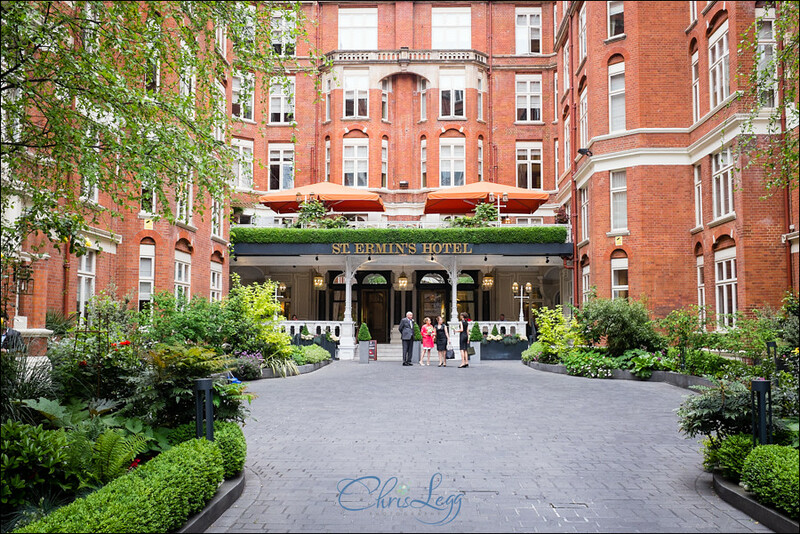 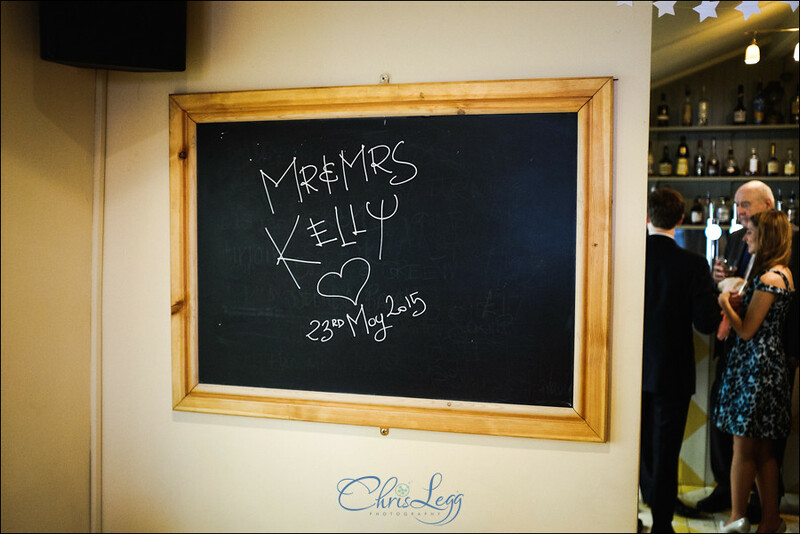 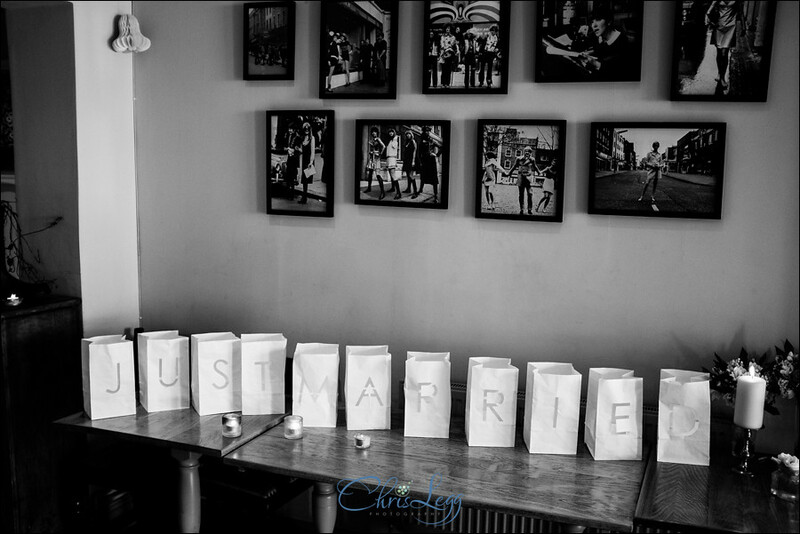 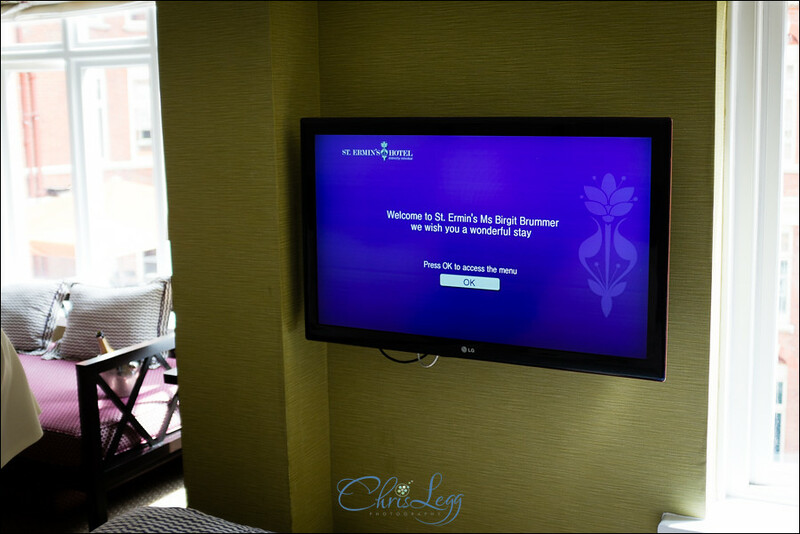 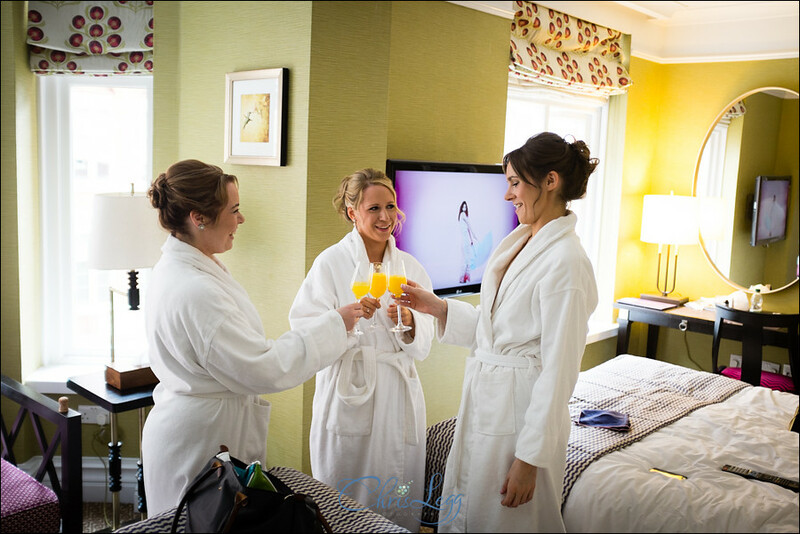 From the moment I arrived at St Ermins Hotel for the bridal prep (and what a gorgeous hotel it was!) 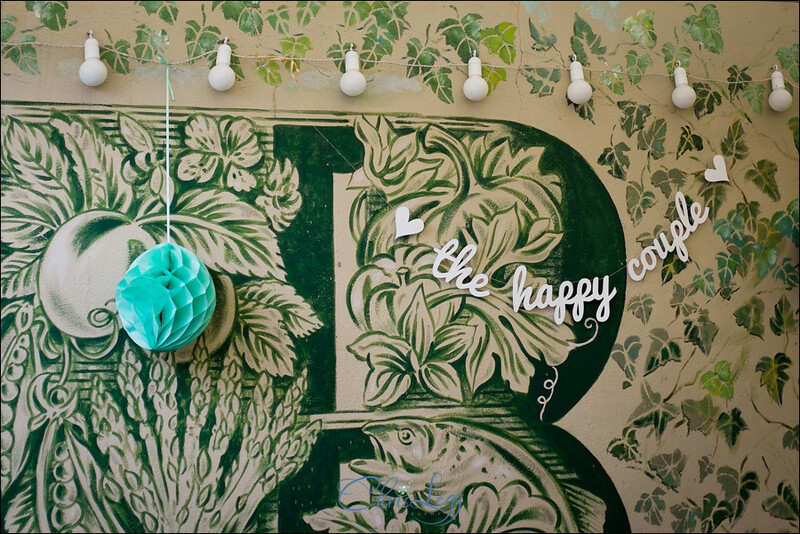 I knew that it was going to be a great day. 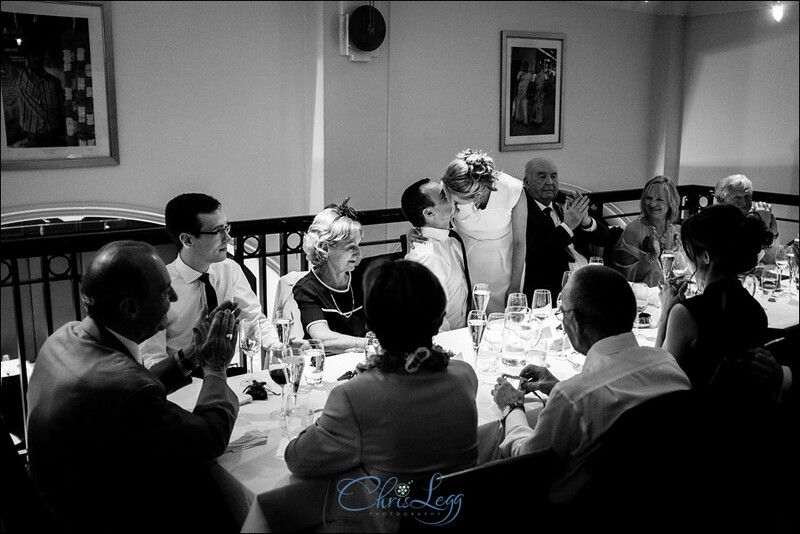 It was calm but with that feeling of excitement and anticipation. 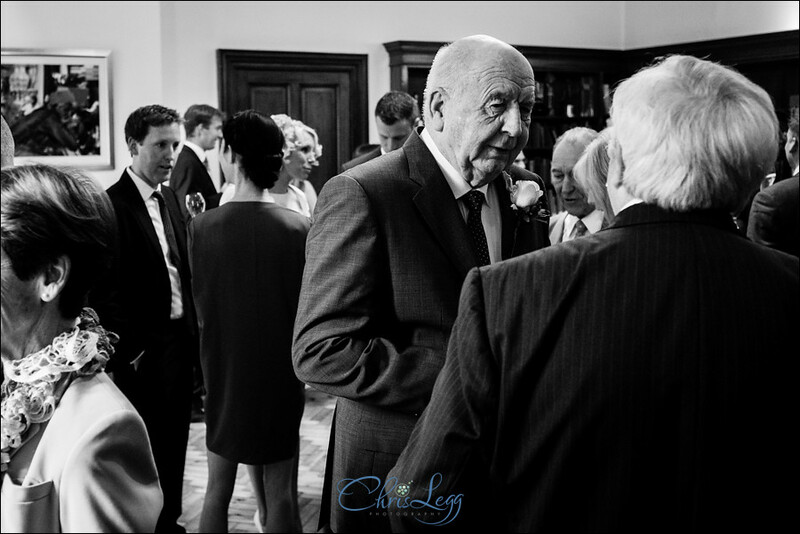 Time seemed to fly by and all of a sudden it was time to head downstairs to meet Birgits Grandad before heading over to the Cinnamon Club just round the corner. 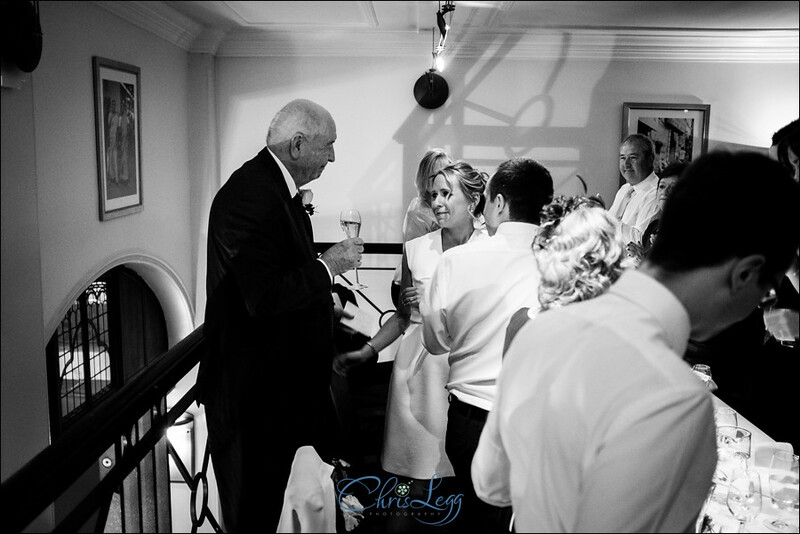 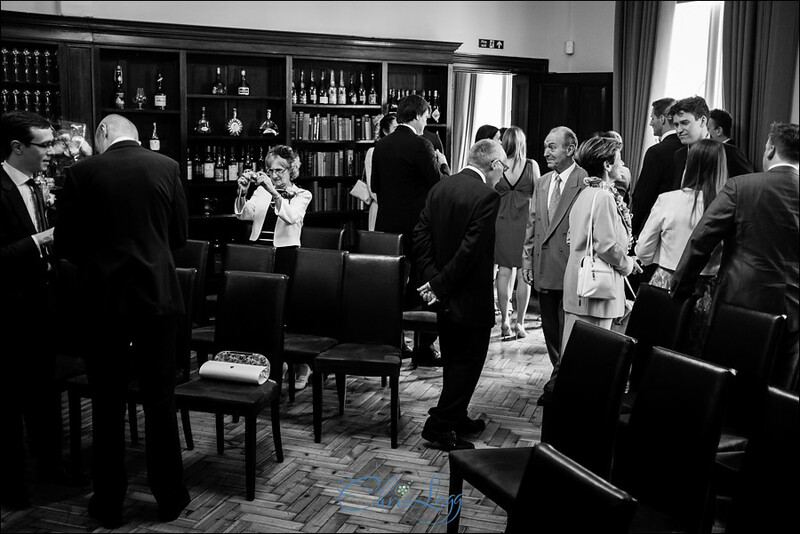 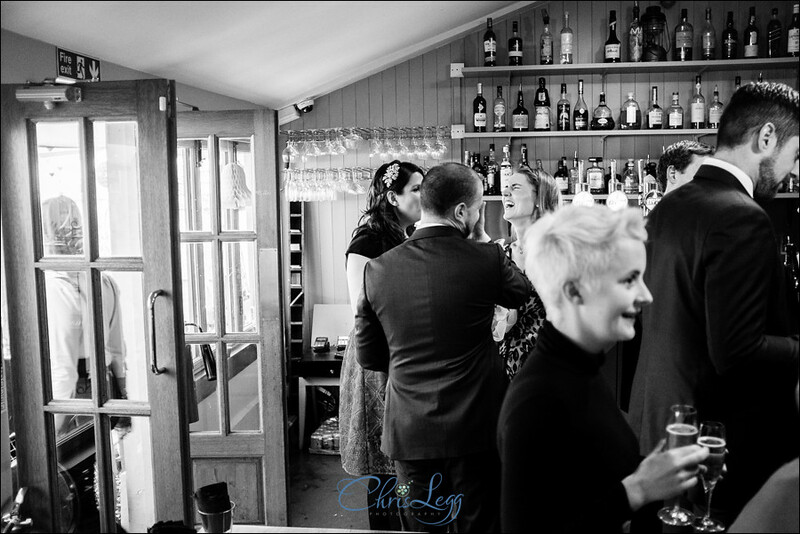 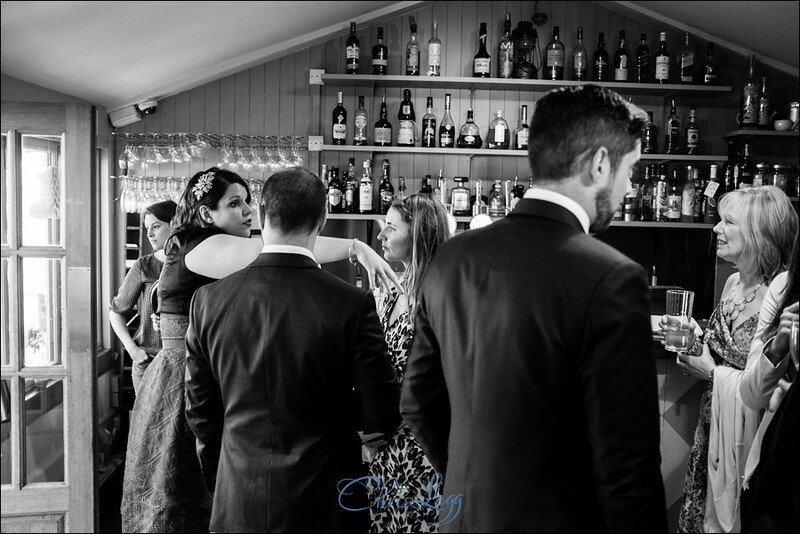 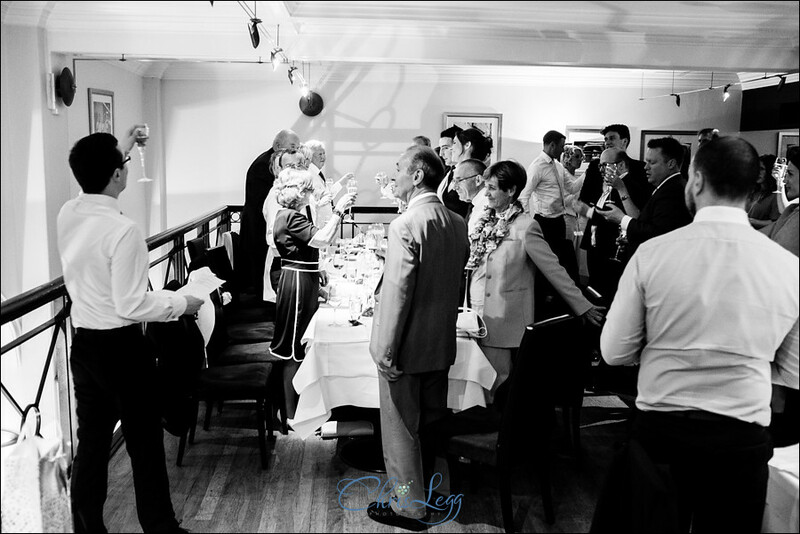 It was a small and intimate ceremony which seemed to fit Birgit and Andy perfectly, followed by a drinks reception before heading up for the delicious wedding breakfast. 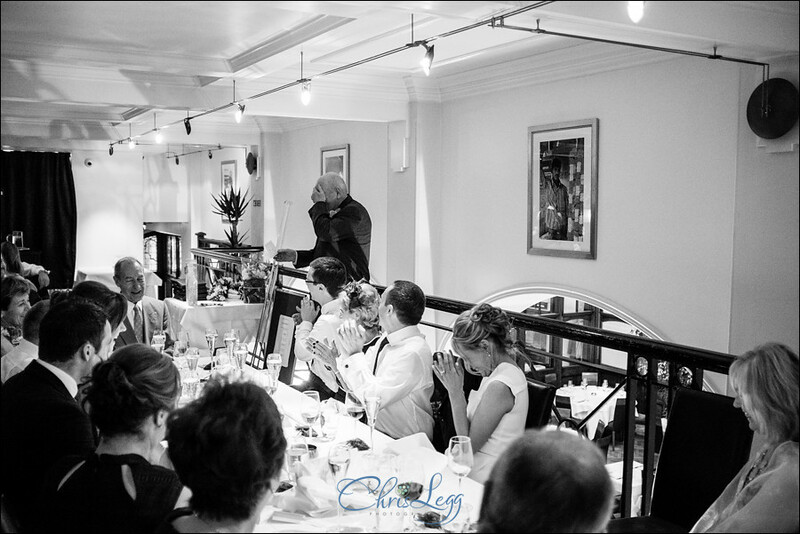 The speeches, with Birgit starting them off, were both funny and heartfelt which is exactly what you want. 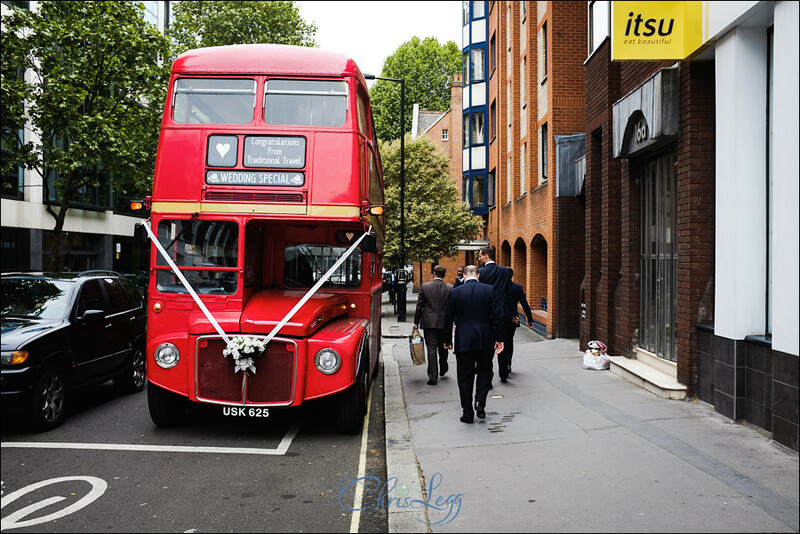 We all then got on a big old double decker to take us over to the Bumpkin in Chelsea for the evening part of reception. 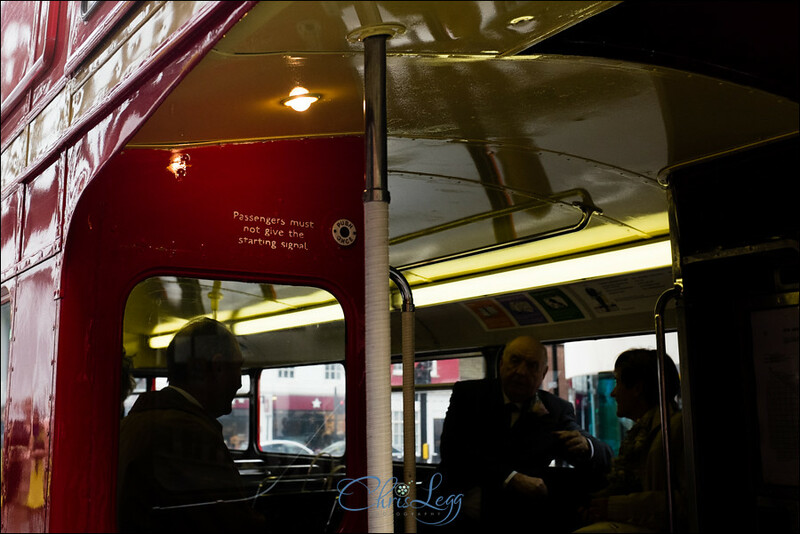 As you’d expect, there was a rush for the seats on the top deck! 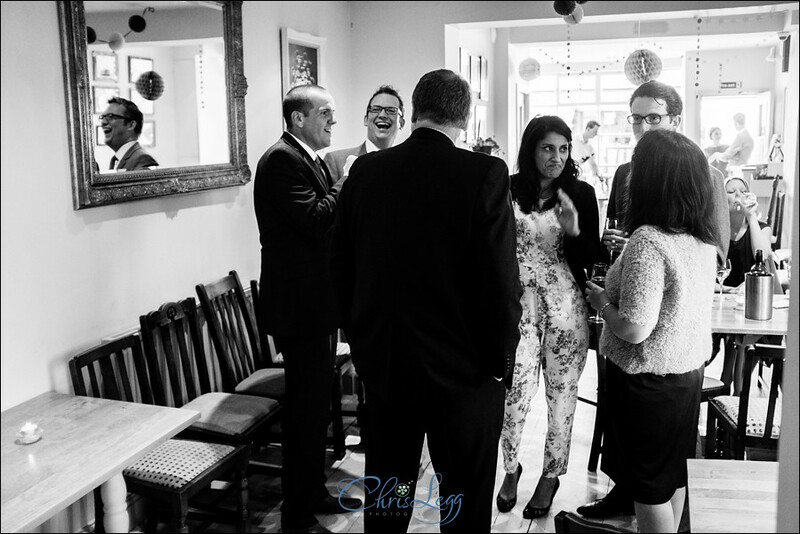 All in all, a really lovely day with as nice a group of people as you could hope to meet. 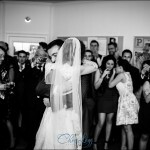 You really can’t ask for more than that!